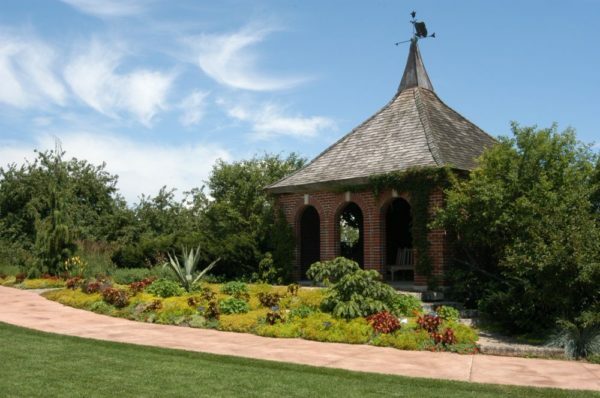 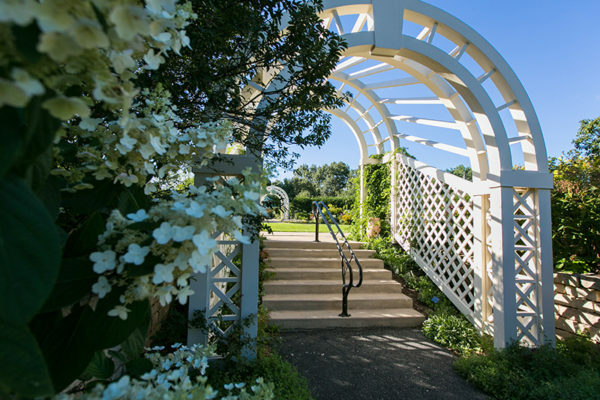 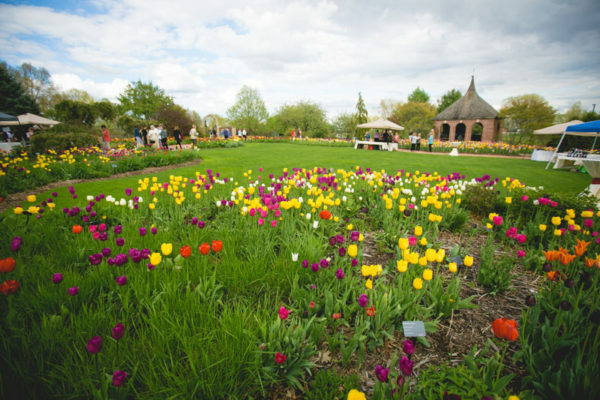 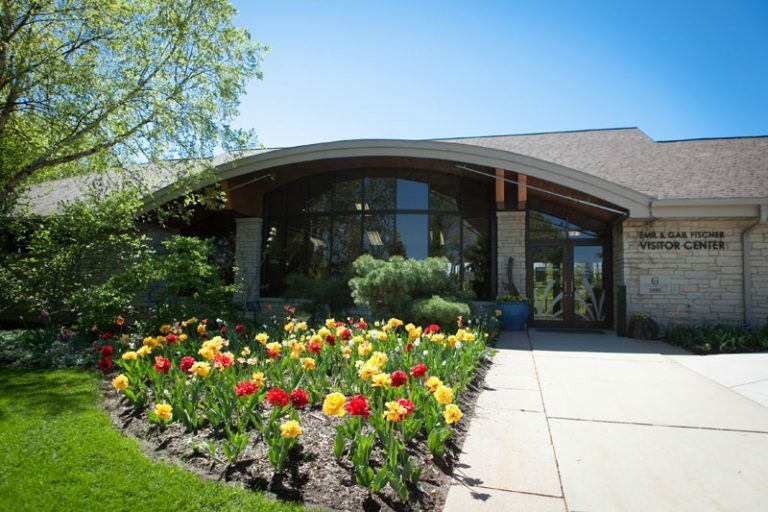 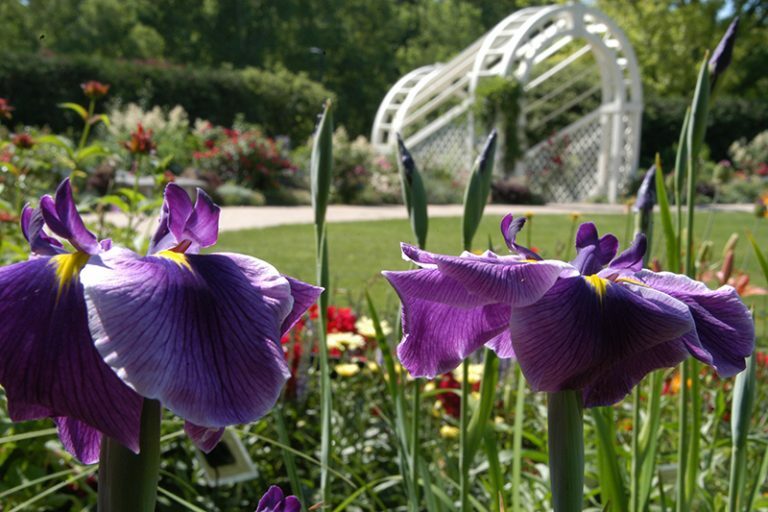 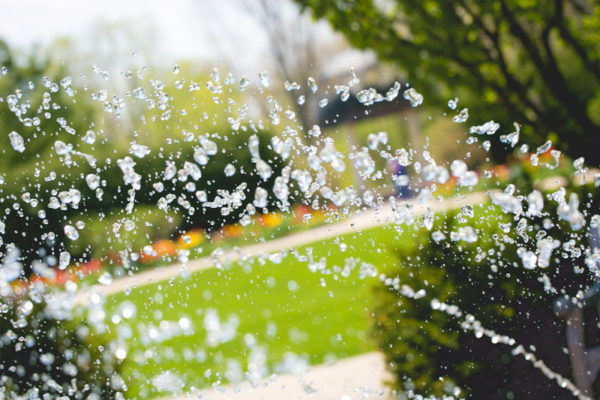 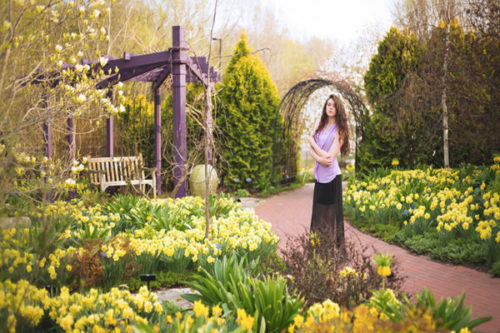 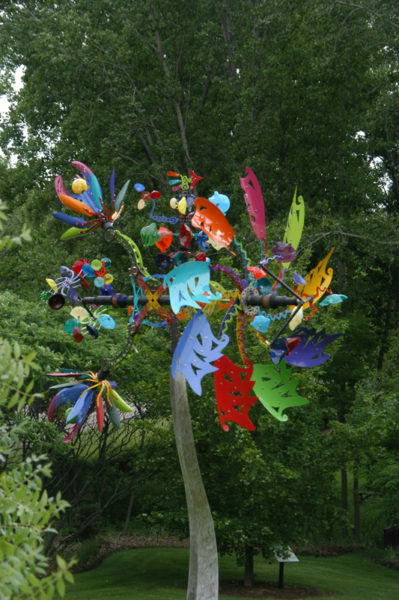 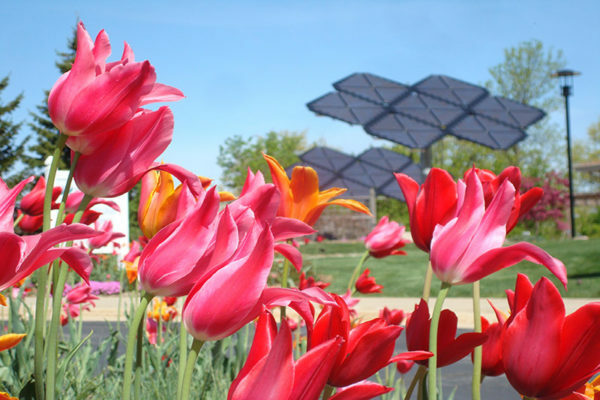 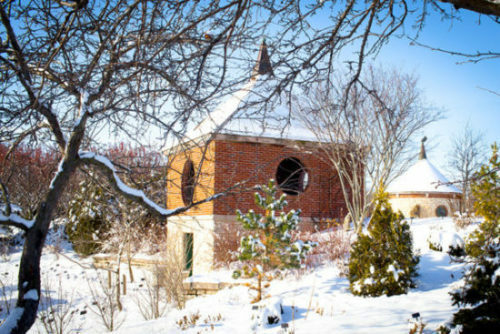 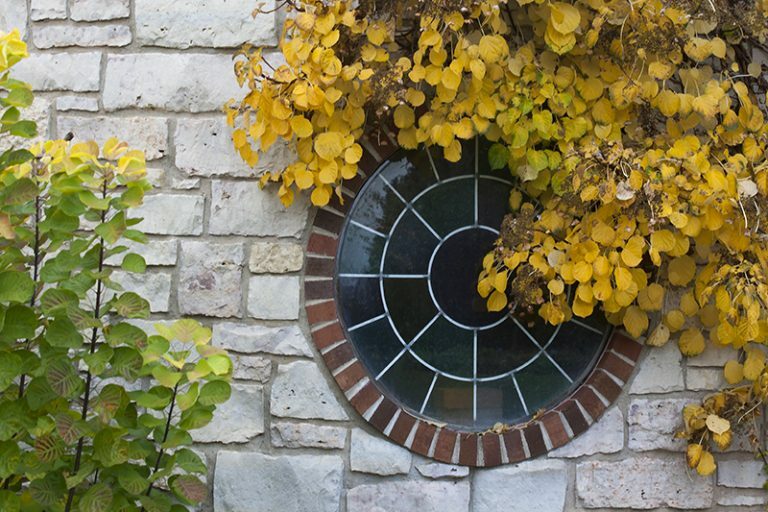 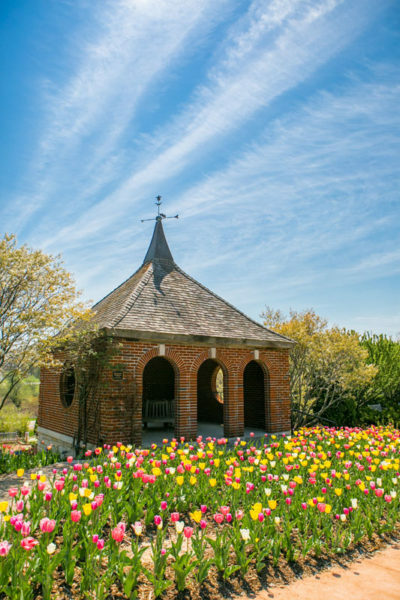 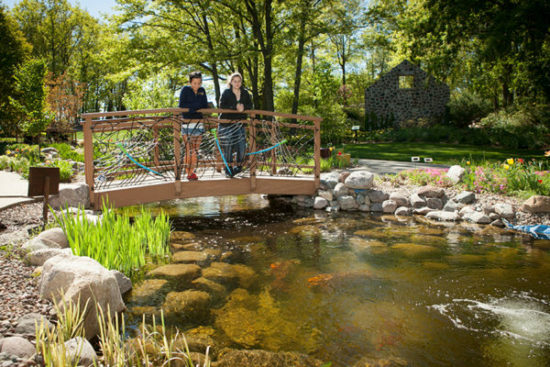 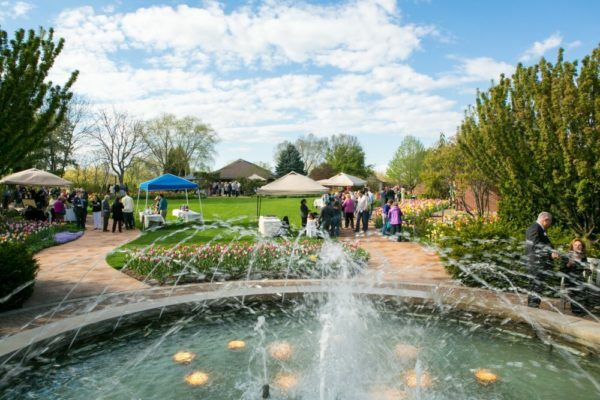 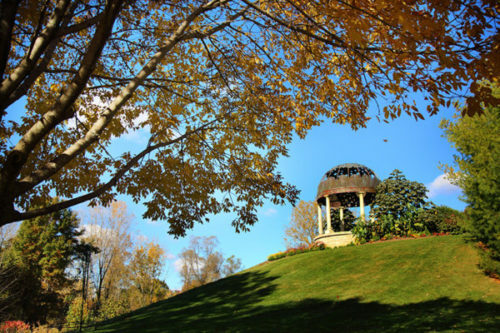 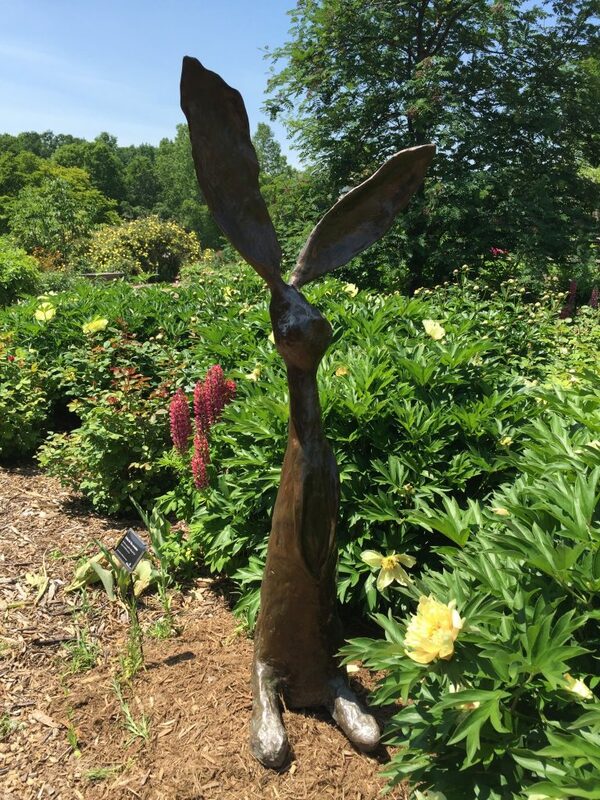 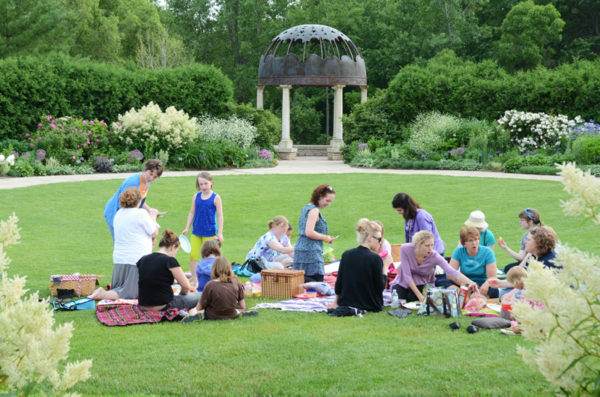 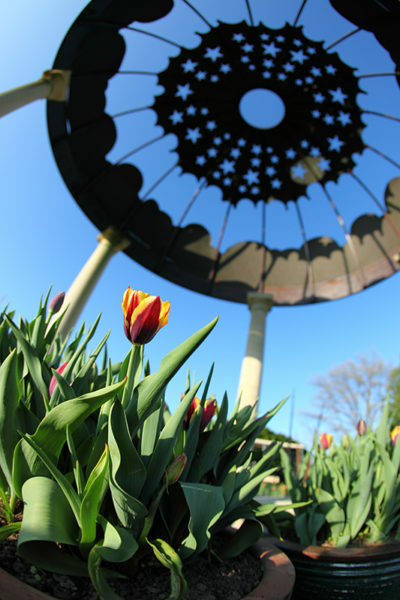 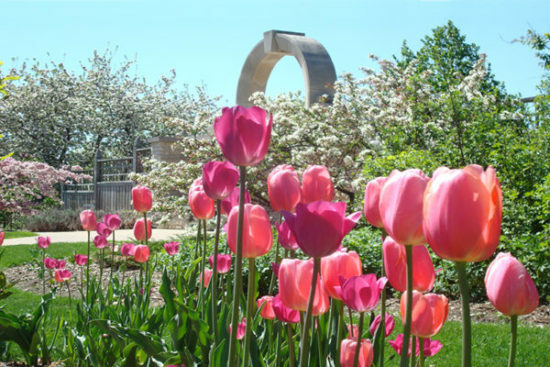 Green Bay Botanical Garden’s 47 acres of display gardens and natural areas capture the beauty of northeast Wisconsin’s four distinct and wonderful seasons. 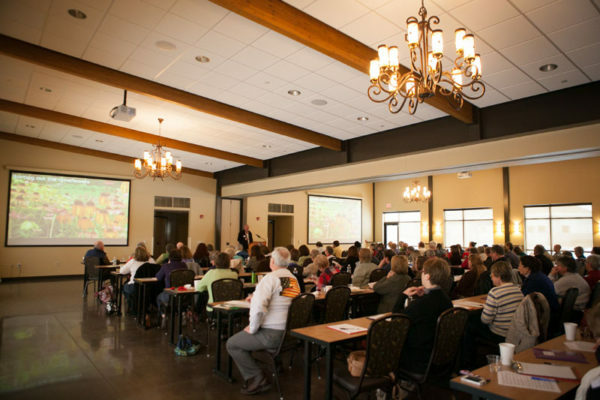 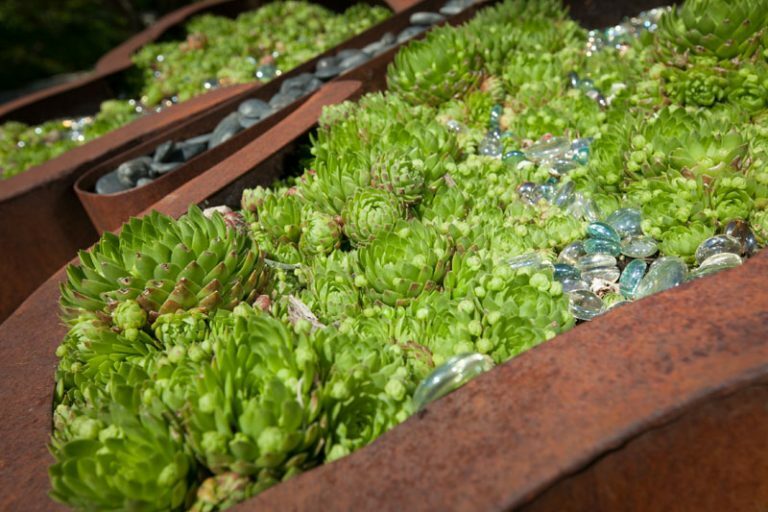 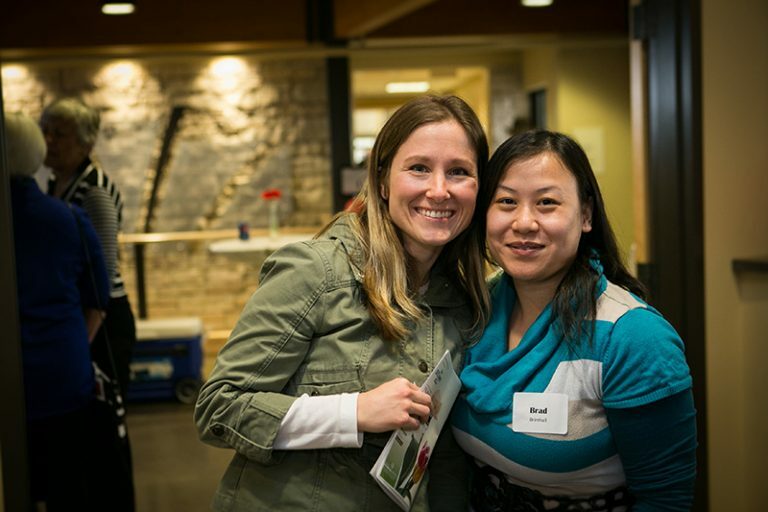 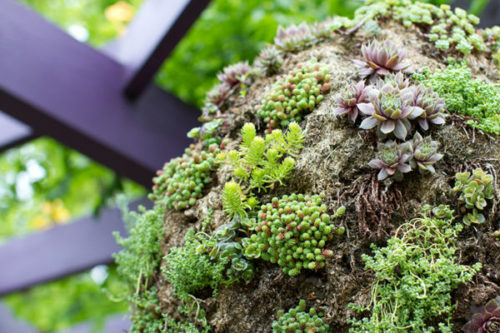 You will enjoy amazing beauty and adventure as you discover outstanding architecture that sets the stage for an all-star performance by plants specially chosen for their ability to thrive in the upper Midwest. 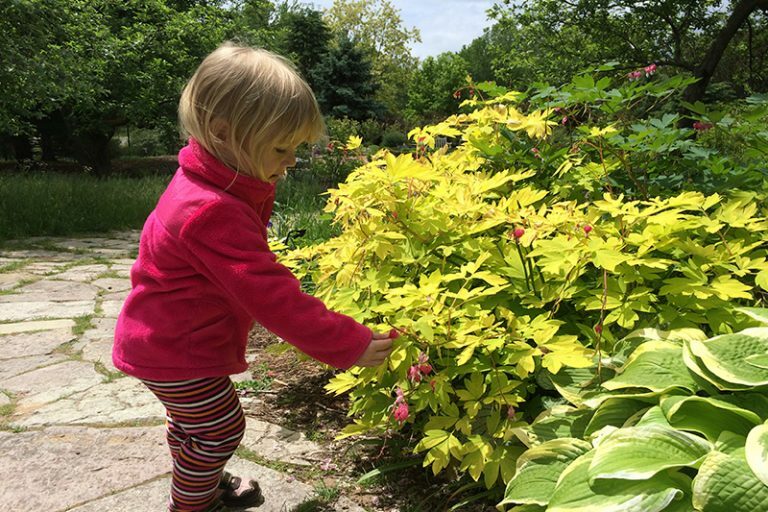 The Garden offers something for all ages, in all seasons. 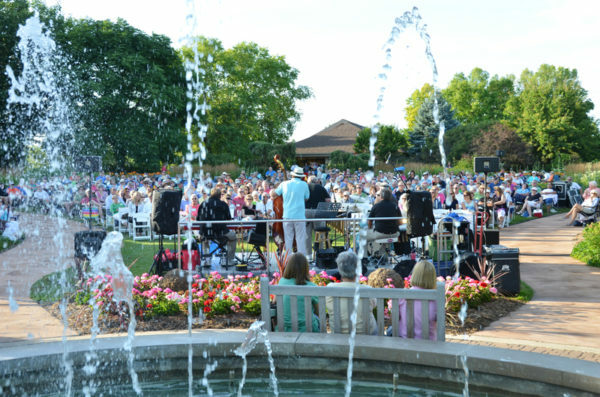 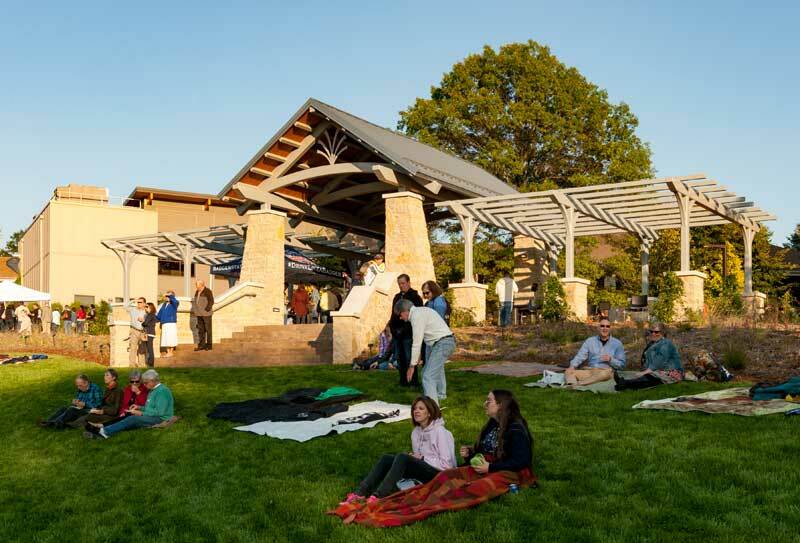 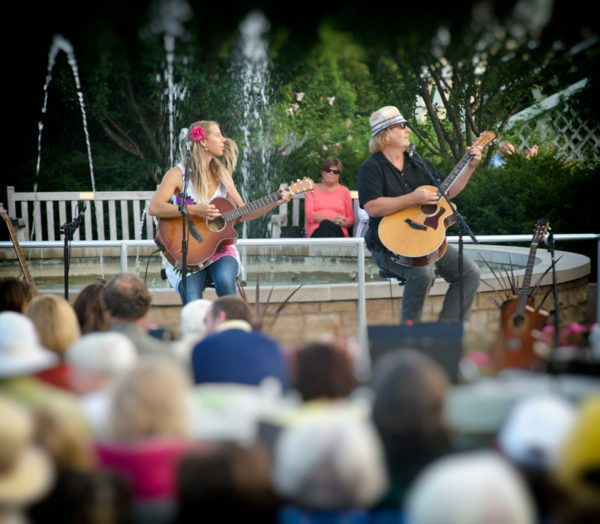 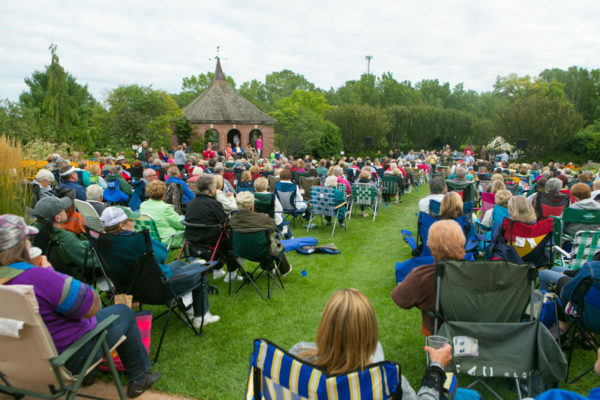 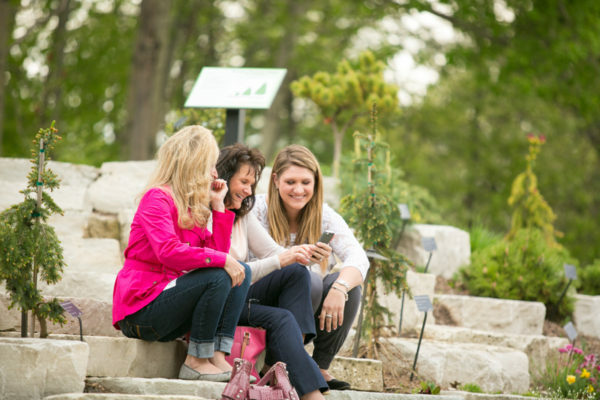 As the newest addition to the Garden, the Schneider Family Grand Garden boasts the Fischer Family Overlook Arbor, opening to the Billie Kress Amphitheater with a grand stage and grassy seating for over 1,500 people. 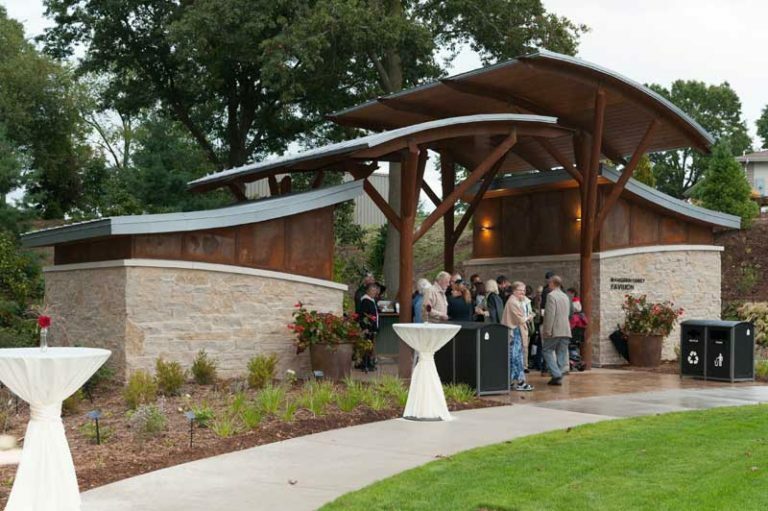 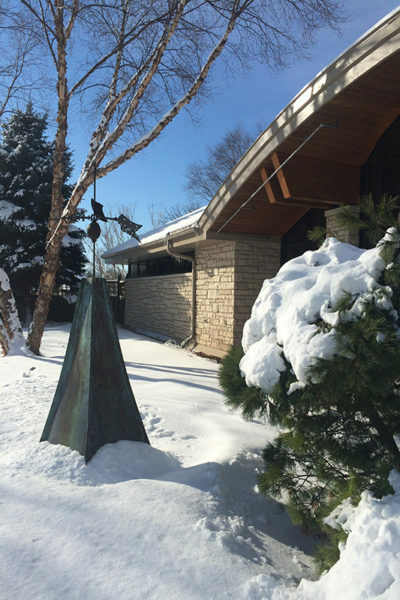 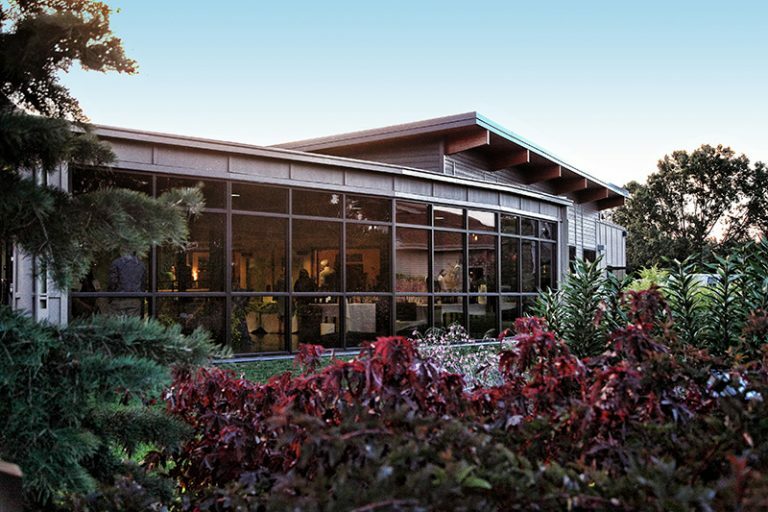 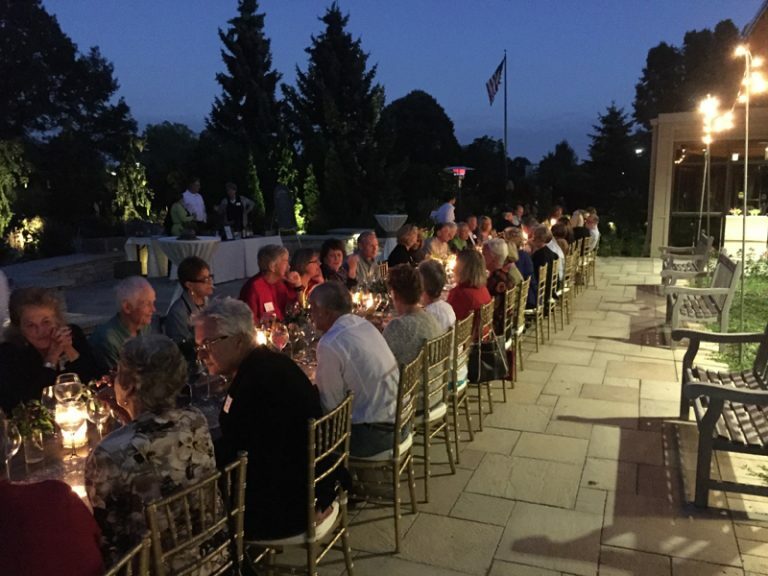 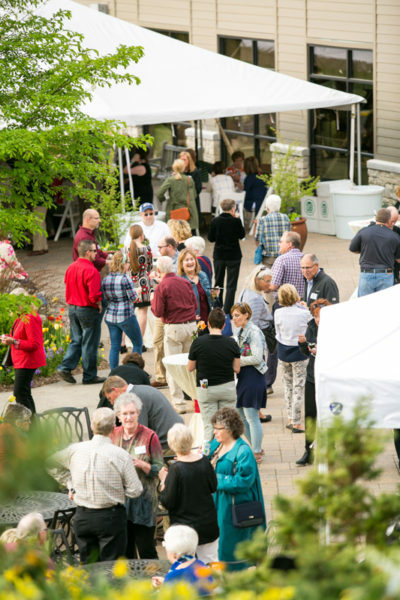 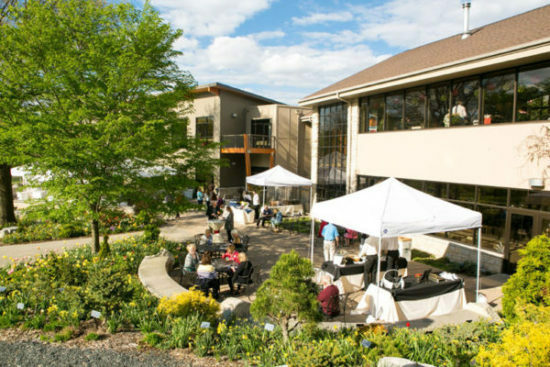 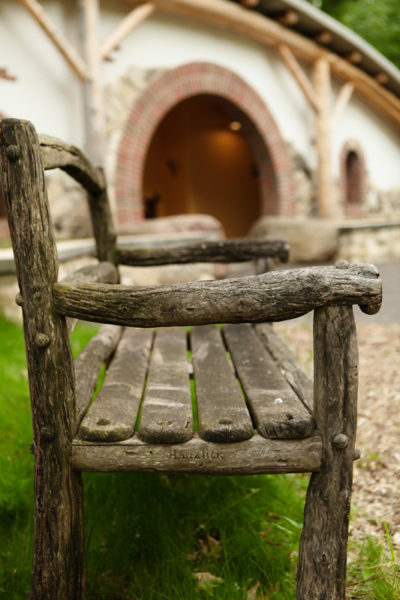 In addition, you will find the Schneider Foundation Classroom with bathrooms and a catering kitchen to the west, and the Matthew Schmidt Garden featuring the Wangerin Pavilion is to the east. As you enter the Garden, it’s hard to miss this ever-transforming garden. 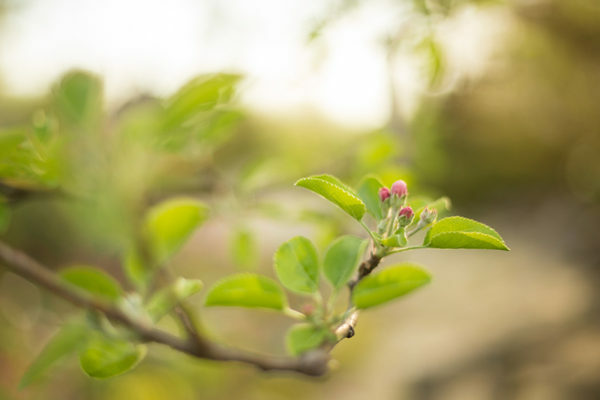 Along with the changing seasons, its array of rich colors, fragrances and textures change as well. 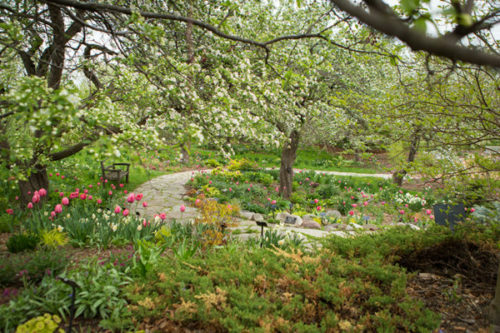 When fickle spring days finally turn into sunny summer days, keep an eye out as magnolias, crab apples and lilacs give way to masses of perennials. 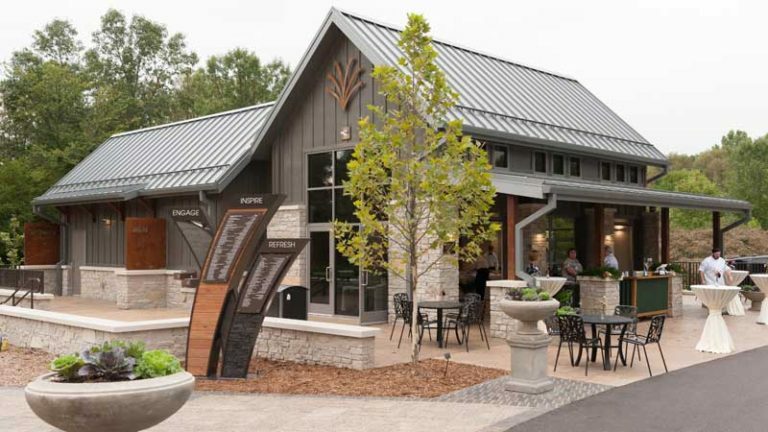 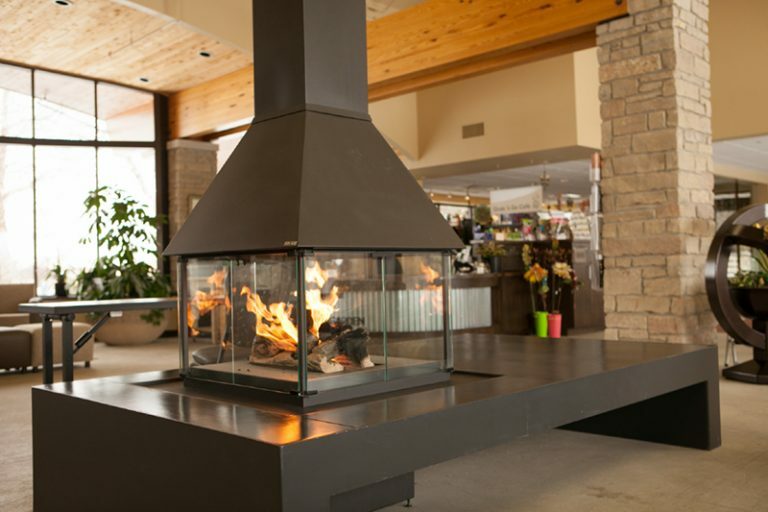 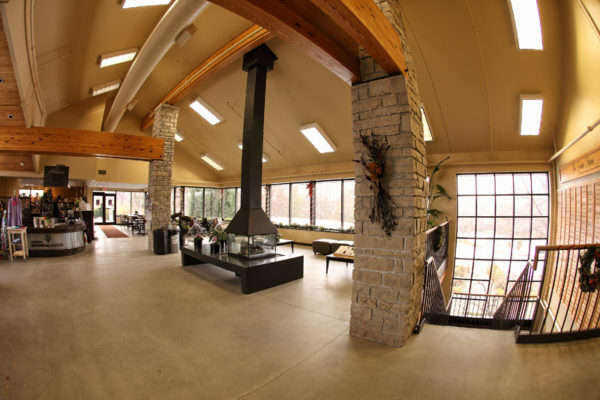 The Fischer Visitor Center entrance leads to a welcoming reception area and front desk, the WPS Trellis Gift Shop, a fireplace and restrooms. The main floor of the Schneider Education Center features the K.C. 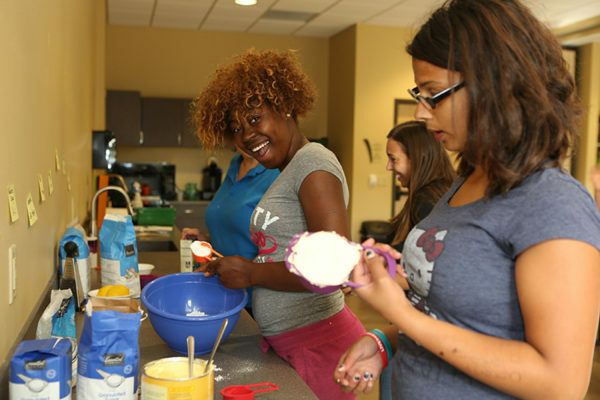 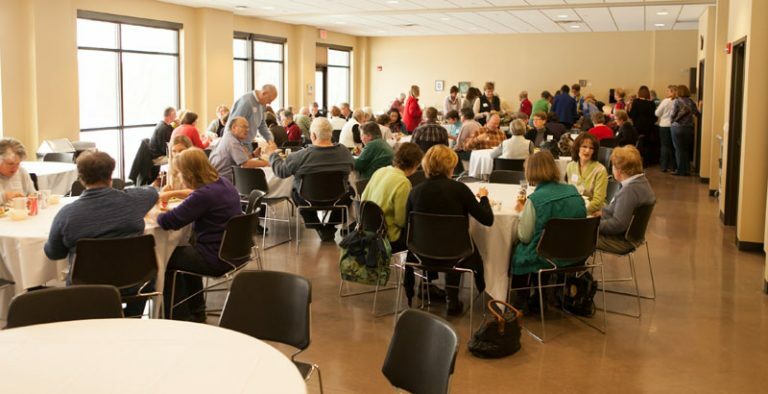 Stock Lobby and Cornerstone Foundation Hall, which seats and upward of 200 with a professional catering kitchen. 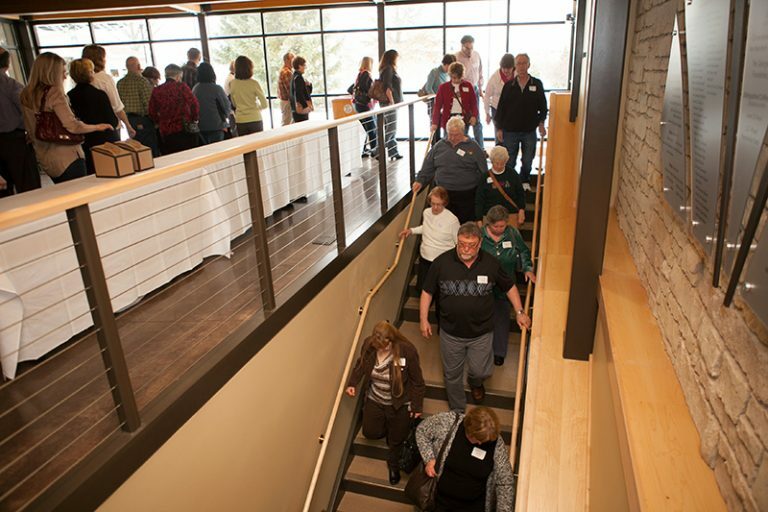 A wide stair case leads down to the lower level, which contains several state-of-the-art classrooms and meeting areas. 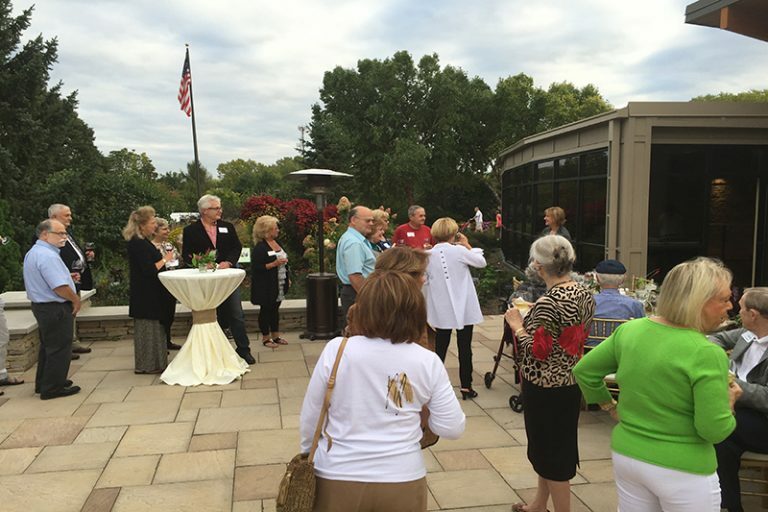 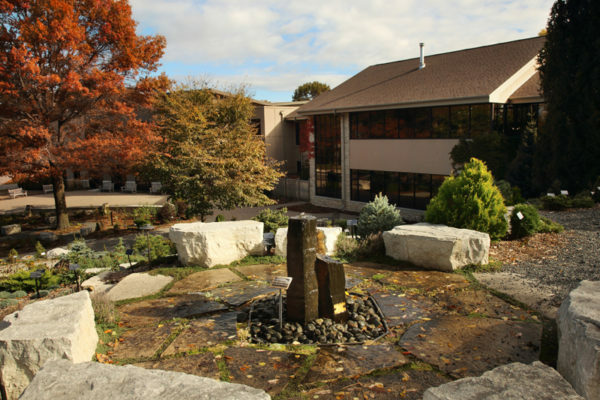 The Roger Simurdiak Patio provides an extra meeting space and overflow area on the east side of the Schneider Education Center. 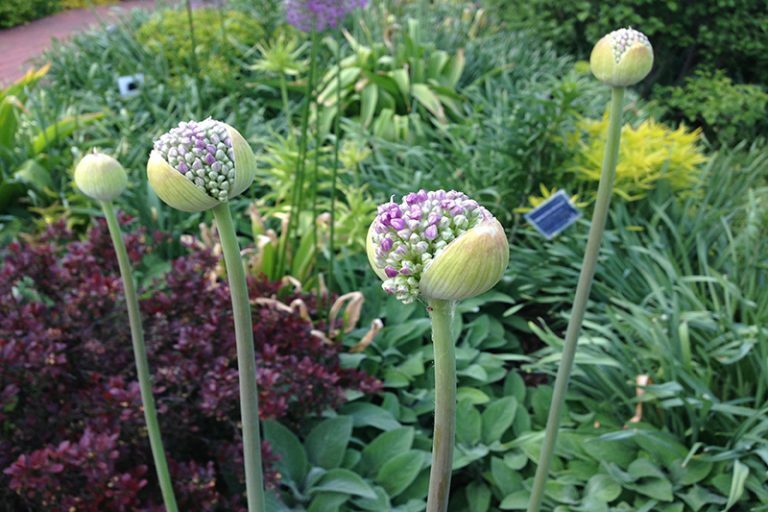 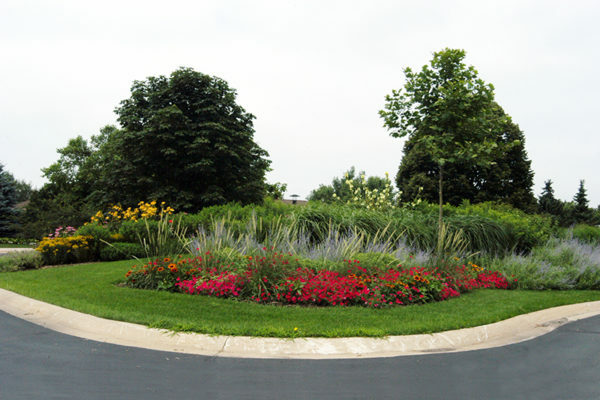 The gardens embracing it are planted with perennials and small shrubs. 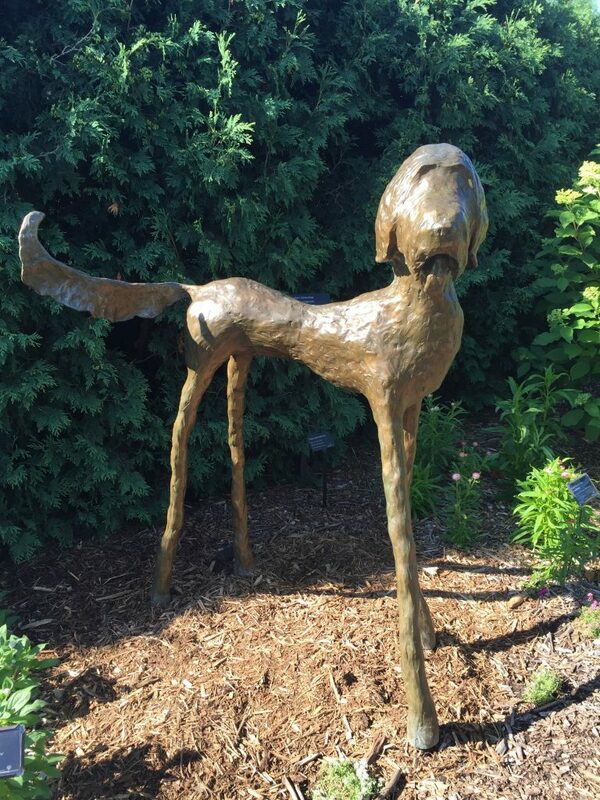 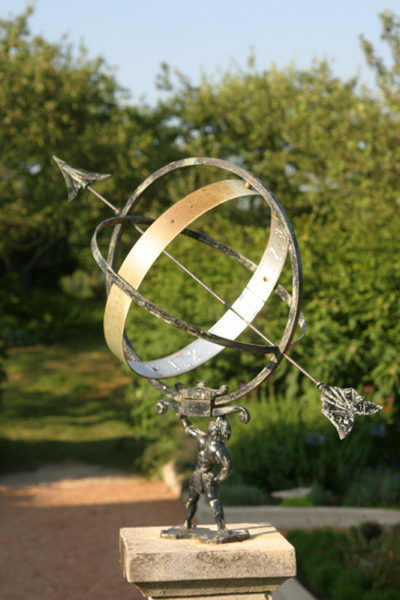 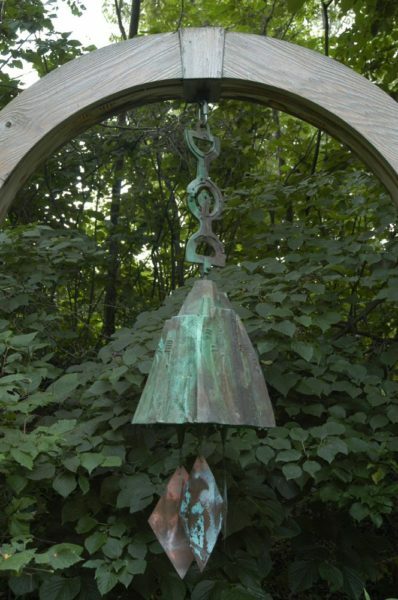 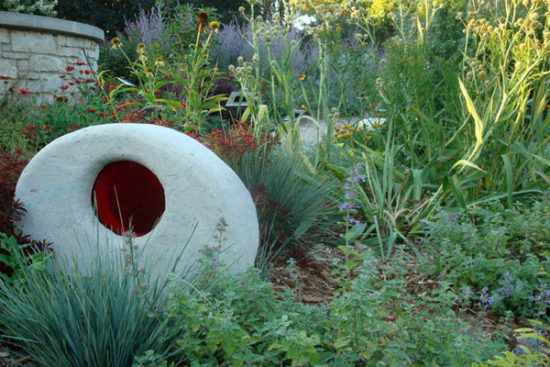 Several large pots and pieces of garden art are spread throughout the Garden. 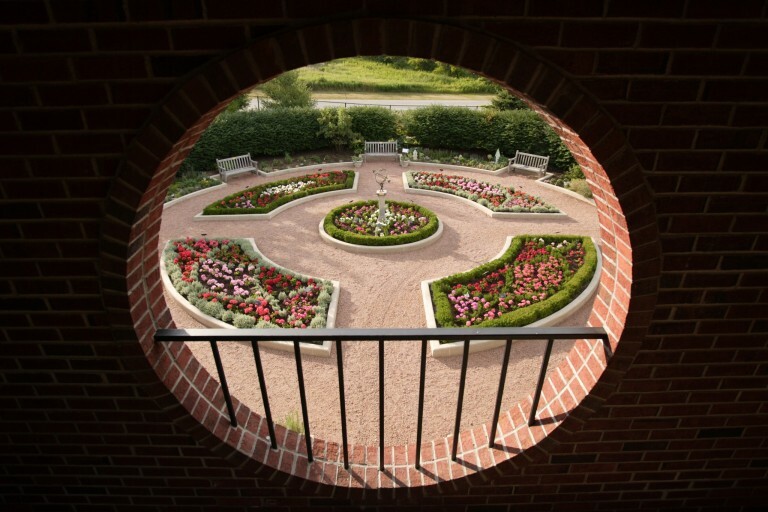 Surrounding the patio, the Jan Wos Garden celebrates the life of this good friend of horticulture and the Garden. His brilliant container designs live on around the patio. 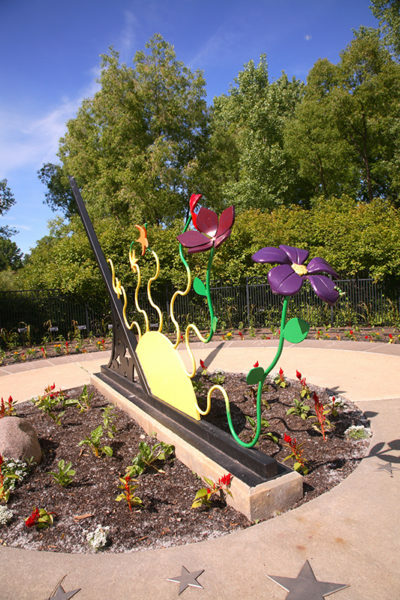 Gifts for this project were given in memory of Roger Simurdiak and Jan Wos by the estate of Roger Simurdiak, Gary and Lynn Leuer, and the estate of Jan Wos. 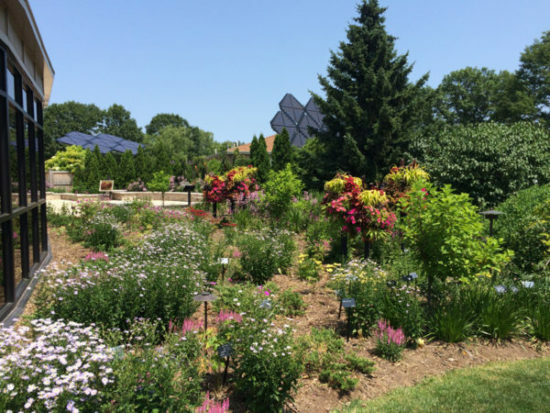 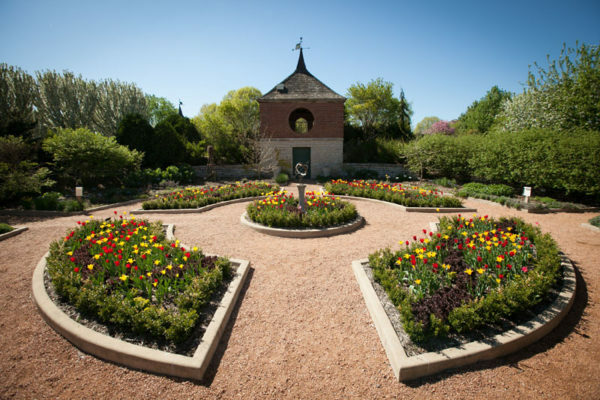 An American Perennial Garden: This colorful garden is the perfect way to start your stroll through Green Bay Botanical Garden. A broad, multi-textured walkway immediately pulls your eye toward the dramatic fountain. 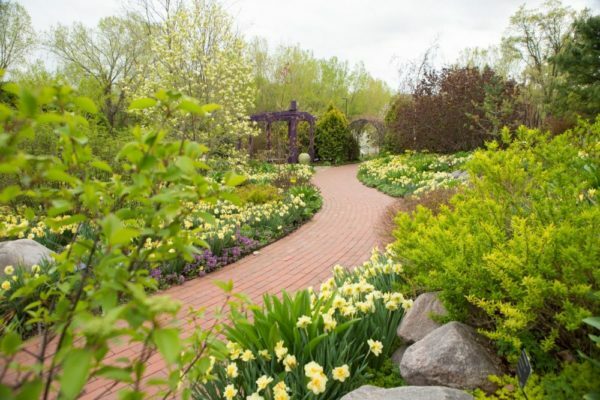 Weave through the walkways as you take in the bold sweeps of floral color and ornamental grasses. These majestic apple trees are remnants from the former Larsen Orchard. Through the under planting of spring-flowering bulbs, uncut bluegrass and inclusion of rustic benches, this garden captures the essence of spring. 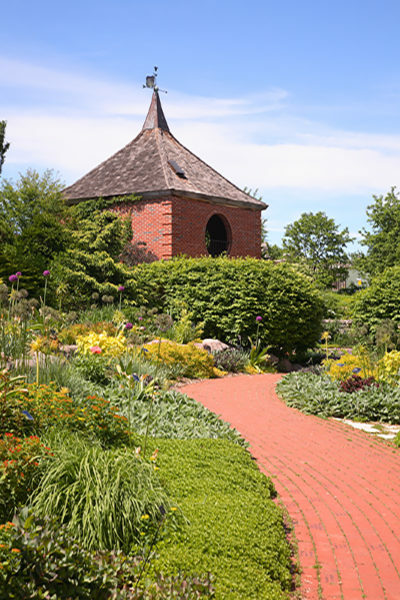 The Wellhouse not only houses the Garden’s well but also provides shady relief in hot weather. Its distinctive moon windows frame three garden views: the pastoral Larsen Orchard remnant to the left, the Kress Oval Garden to the right and the Wellhouse Garden. This garden features a boxwood and barberry parterre in patterns meant to be ‘read’ from above and is edged with herb display beds featuring various medicinal, culinary and ornamental plants. 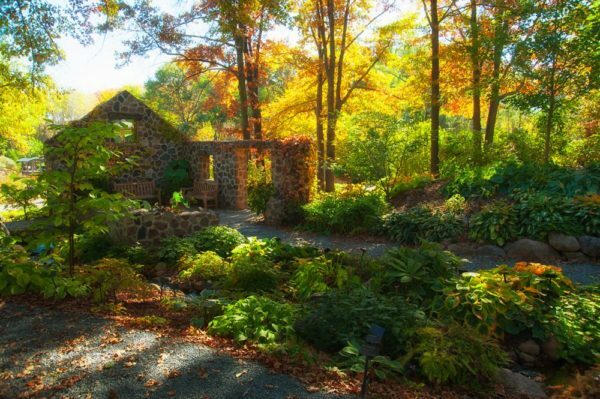 The colors and textures of the foliage in this garden create a striking landscape. 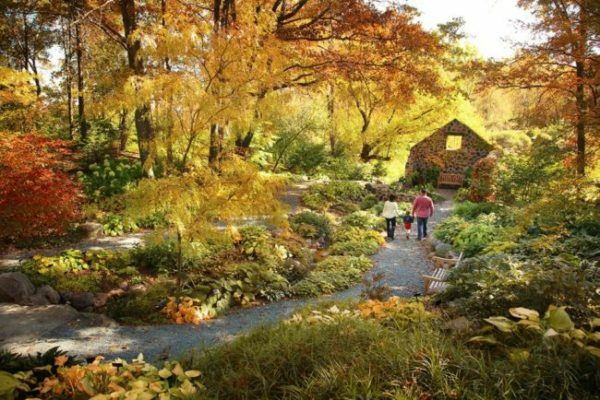 The trees, shrubs, grasses, perennials and vines bring an ongoing display of yellow, maroon, chartreuse, gray and blue-green foliage. 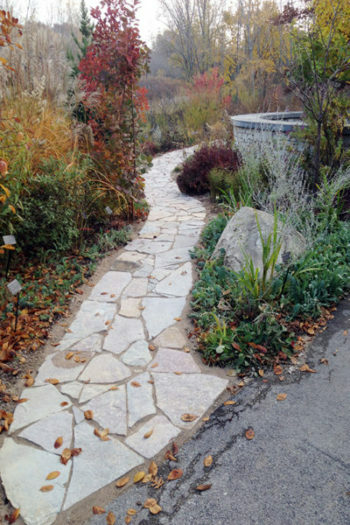 A Xeriscape Garden The Vietnam Veteran Garden features a sustainable yet aesthetically pleasing garden design with perennials and grasses that need little to no water or fertilizer once established. 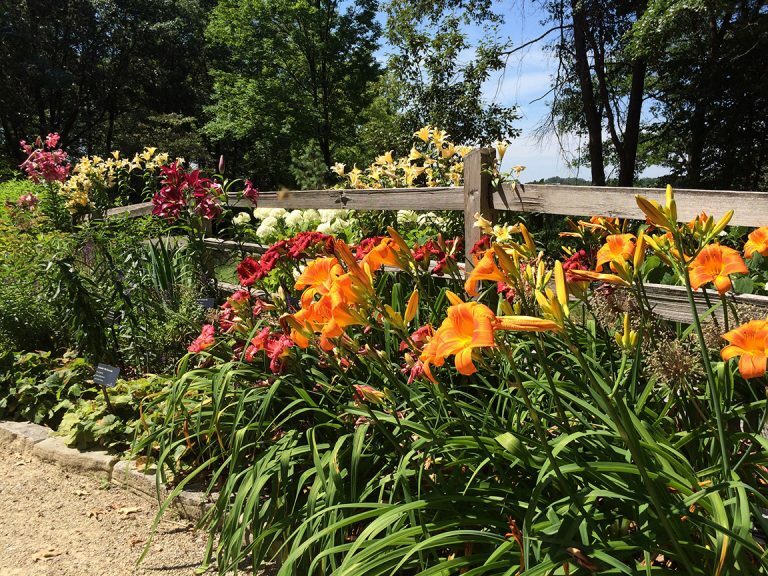 The bright yellows, oranges and reds that echo the adjacent daylily beds are contrasted with blues and purples throughout the garden. 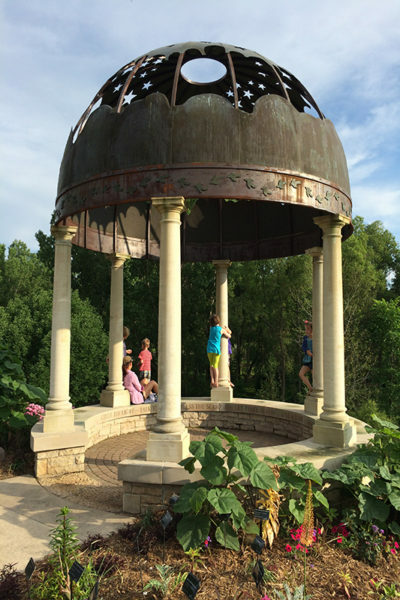 Modeled after an early Grecian Gazebo, the Stumpf Belvedere is a gorgeous and unique site. What makes this structure distinctive are the shapes of stars, clouds and the moon cut from its iron crown. 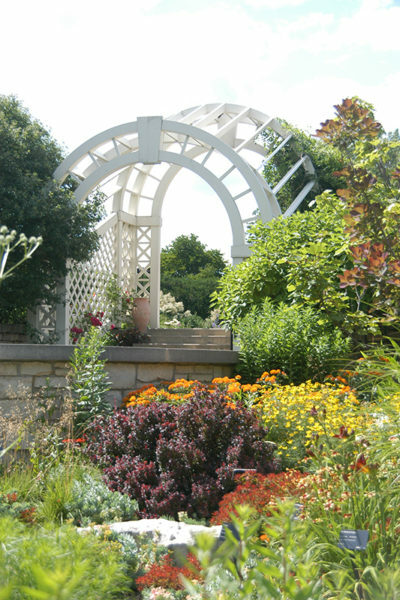 These shapes create a beautiful and unique way to view the sky and the rest of the Garden. 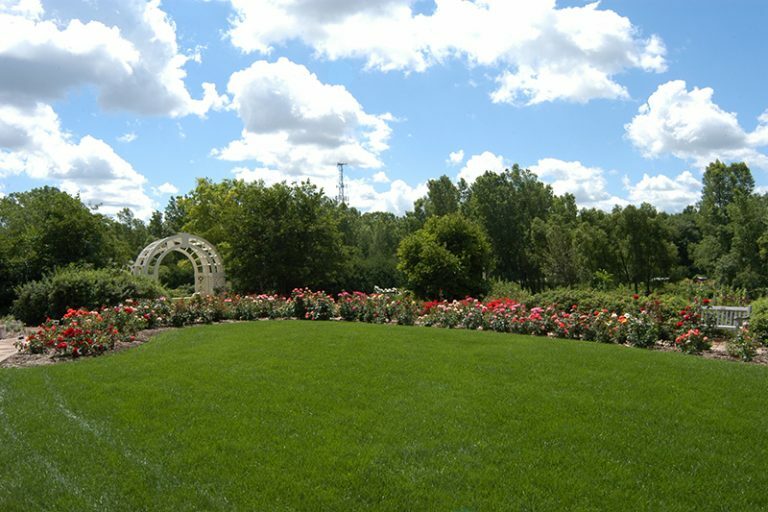 A Contemporary Rose Garden A new interpretation of the formal rose garden is created in the Kress Oval Garden through the interplanting of hardy roses and perennials. 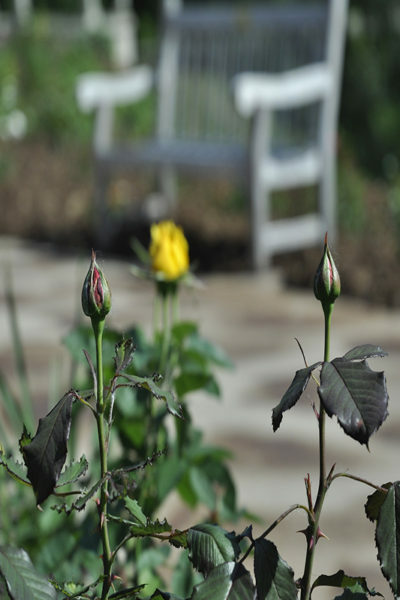 A plethora of shrub roses are mixed with season-spanning perennials to allows this beautiful garden to be both low-maintenance and environmentally friendly. 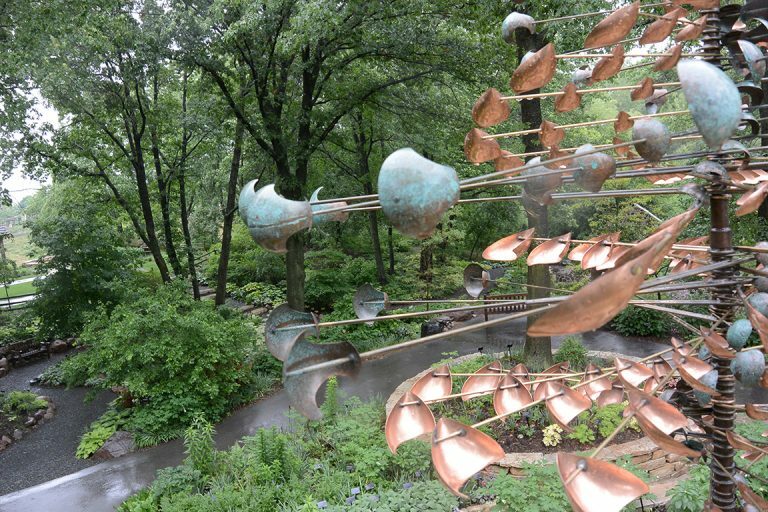 The bronze sculpture Serenade is found in the Kress Oval Garden, and it depicts George Kress playing his violin as his wife Marguerite listens with a rose on her lap. 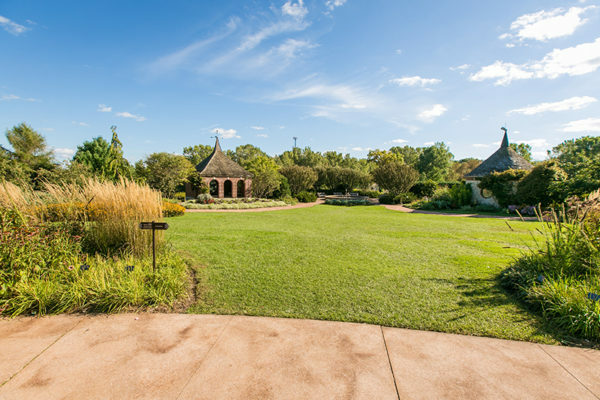 The Thome Patio provides visitors a space to relax and rest. Whether you take a moment by yourself or meet up with your group, this is a great place to pause before venturing into the Garden. 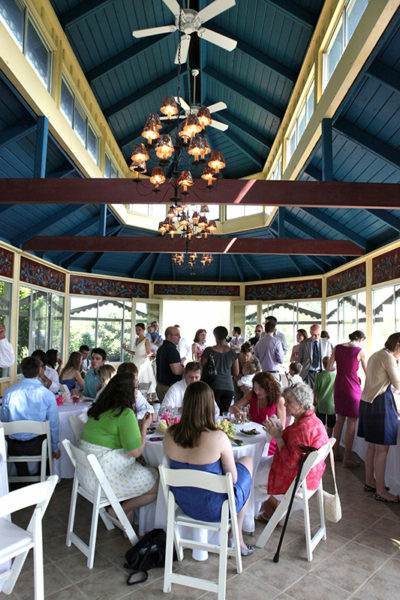 The patio can also be seated for private events. 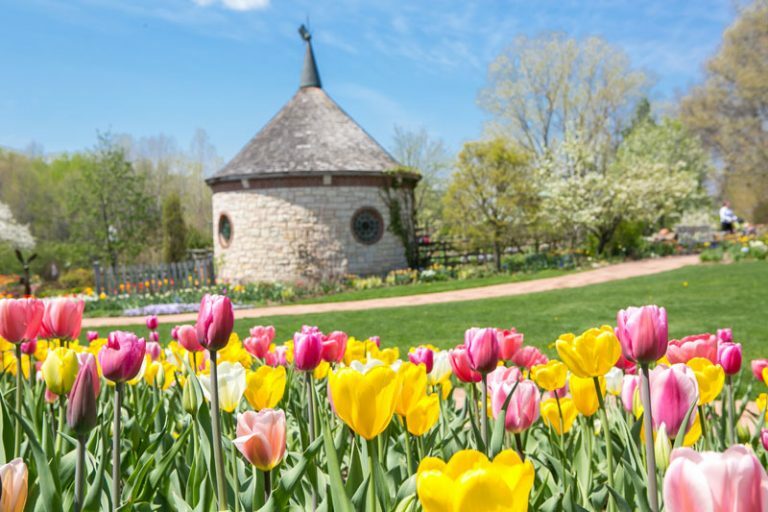 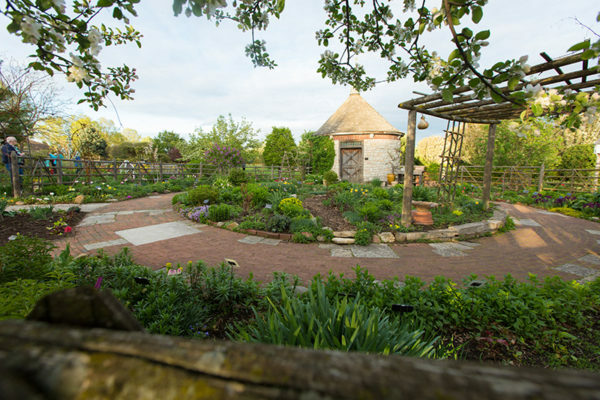 The Vanderperren Cottage Garden is a Wisconsin interpretation of the English Cottage Garden tradition. 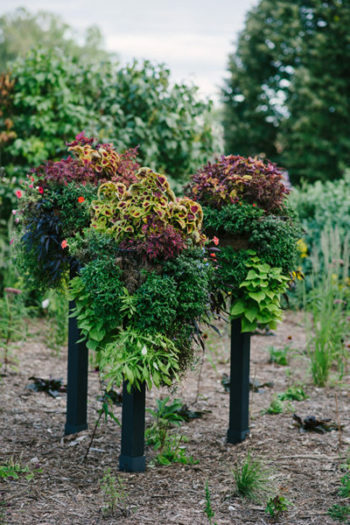 You’ll find a vibrant mix of ‘old-fashioned’ flower varieties, herbs and vegetables here. 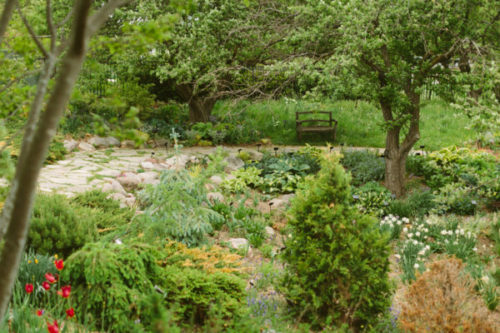 Stepping into this quaint cottage garden might make you feel like you’re no longer in present day Green Bay, Wisconsin. The Lux Upper Rose Garden features an elegant and simply stunning collection of roses. 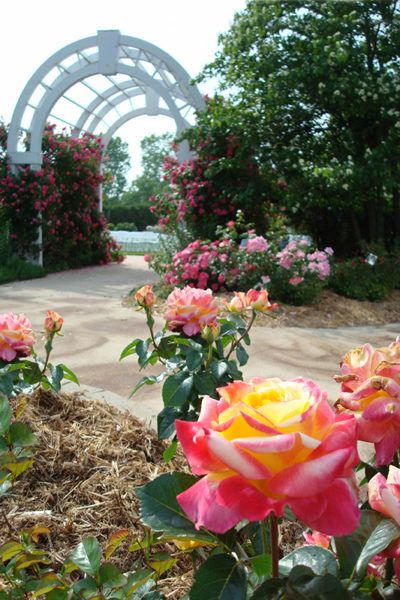 You will find a variety of hardy shrubs and the best in hybrid tea, grandiflora, floribunda and David Austin® English roses, all planted in color groupings. 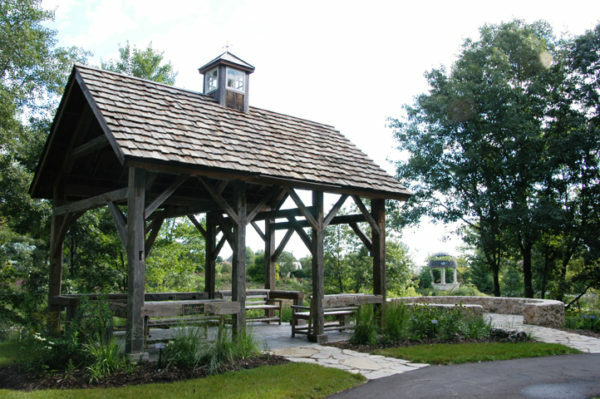 Perfect for spring, summer or fall, Kaftan Lusthaus is an exquisite gazebo with a Scandinavian design. 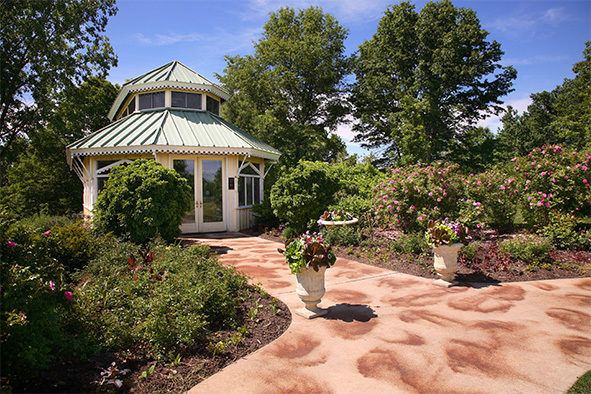 It features an elegant entrance, impressive hand-painted rosemaling and charming chandeliers. 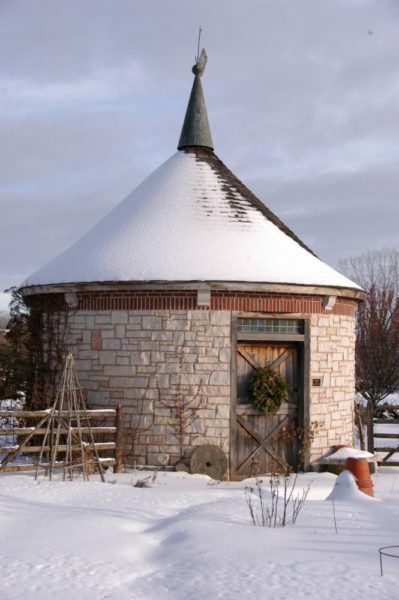 Lusthaus can be rented for small weddings and other gatherings. 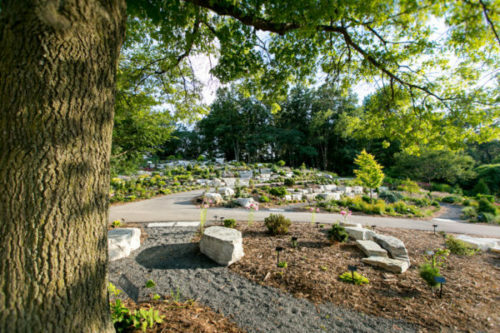 Wood Memorial Grove was designed to provide opportunities to remember loved ones and to offer a place for peaceful contemplation. 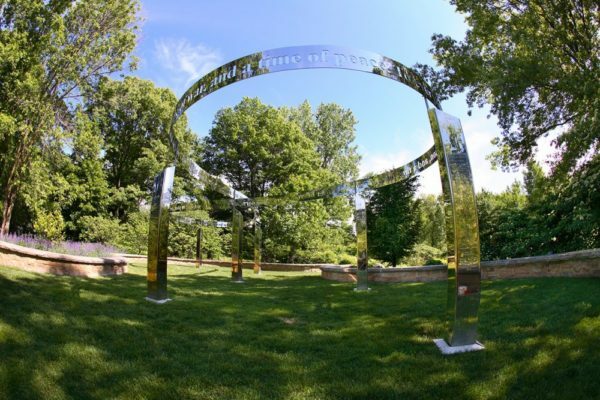 A stainless steel structure is the focal point of the Memorial Grove, featuring the shape of an infinity symbol supported by seven pillars. A verse from Ecclesiastes 3:1-8 “To everything there is a season…” is etched into the infinity band. 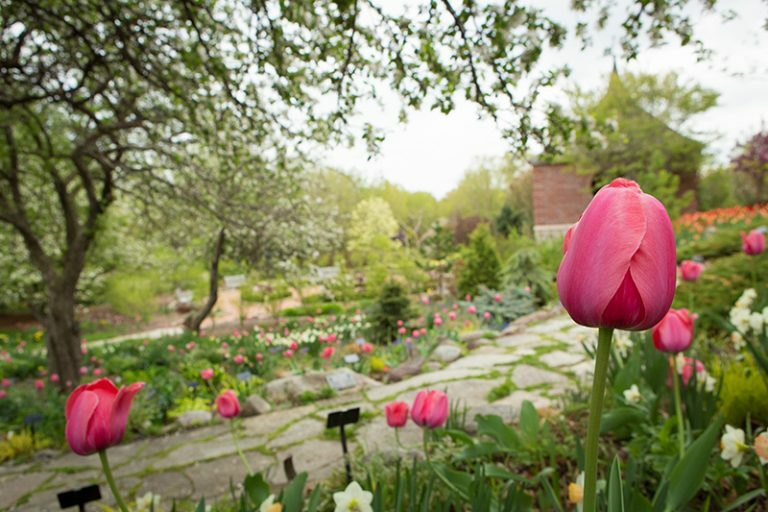 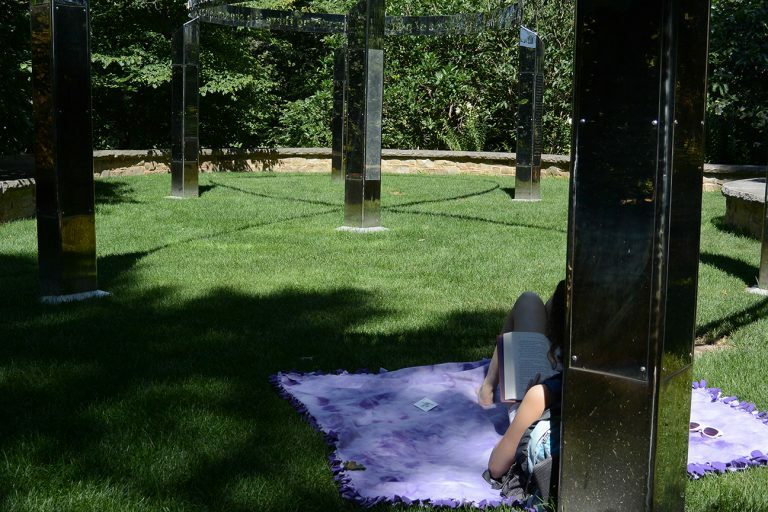 Donors making a memorial gift to the Garden can have the name of a loved one engraved on one of the pillars to preserve their memory. The Johnson Woodland Garden occupies a tranquil valley just a short walk from the Fischer Visitor Center. 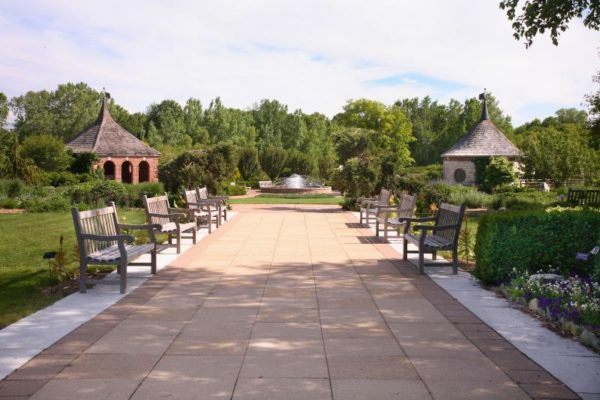 Its naturalized style contrasts beautifully with the more formal gardens that overlook it. 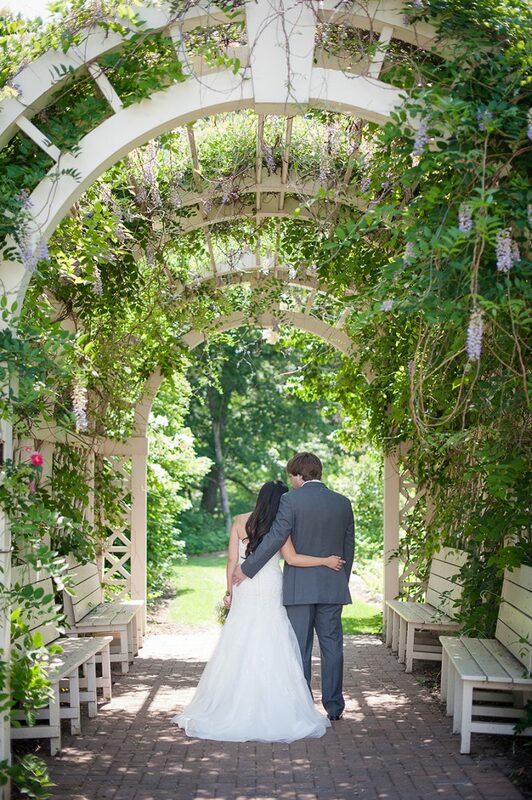 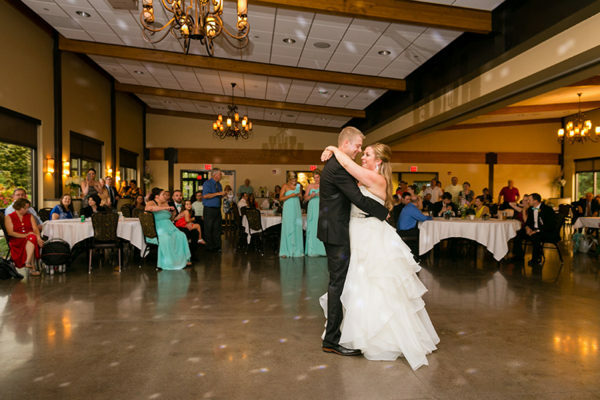 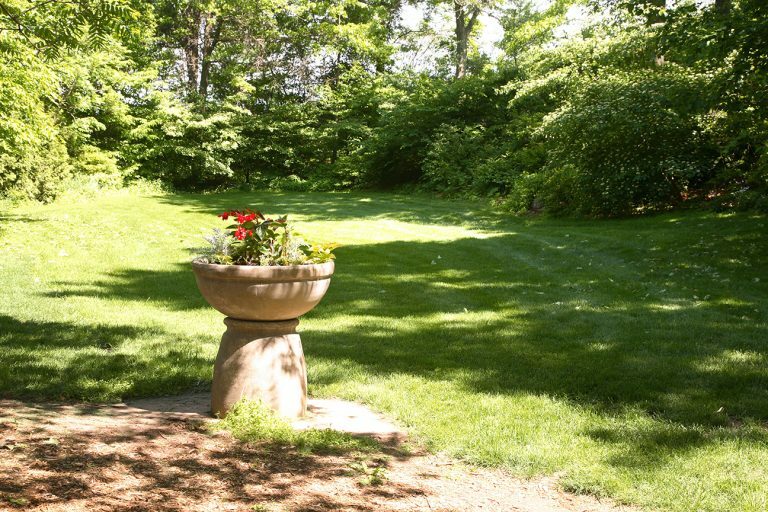 Native trees, shrubs and wild flowers surround a bluegrass lawn that’s a peaceful setting for weddings and special events. 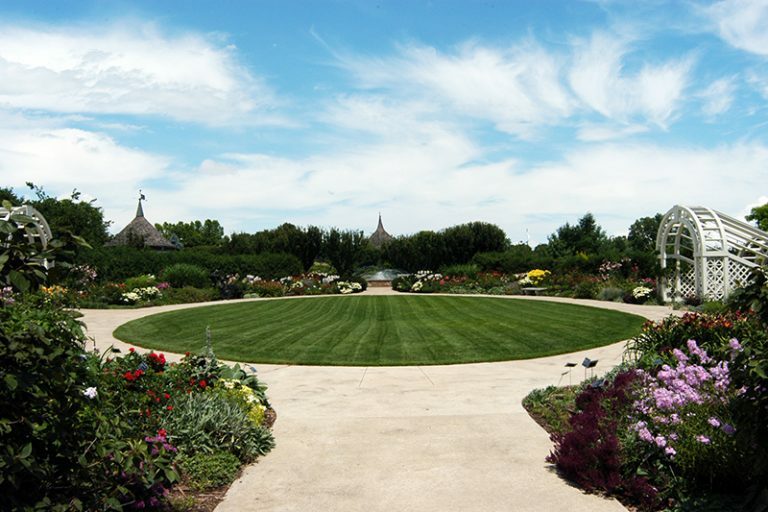 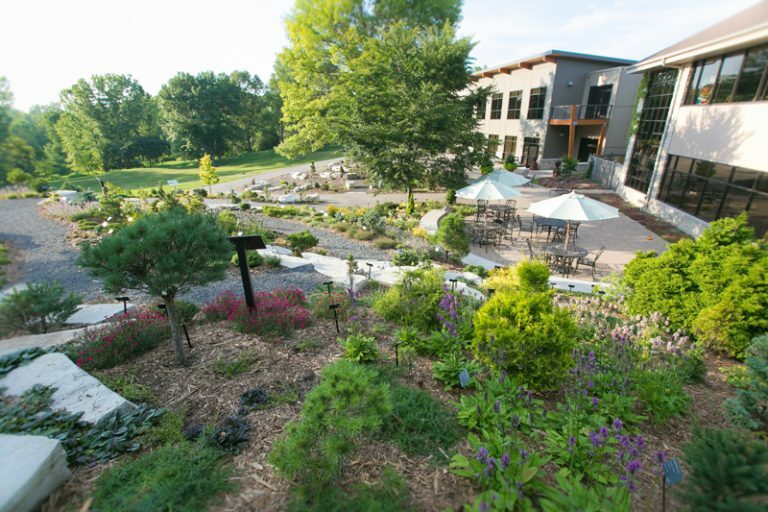 This impressive garden features more than 325 conifers representing 275 different varieties, artfully displayed in a hilly, limestone backdrop. 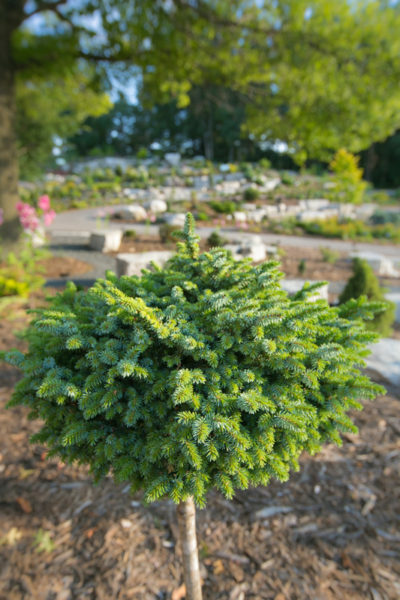 These slow-growing dwarf conifers will reach about half the size of their parent plants. Over 3,250 complementary colored flowering perennials and shrubs of 125 different varieties accent the conifers. 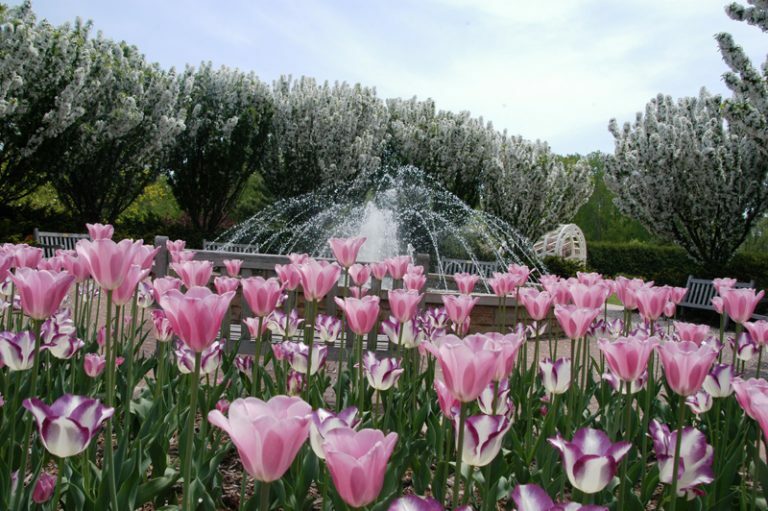 Featuring the spectacular Thome Fountain as its focal point, this garden of Adirondack crabapple trees encircle the fountain and deliver a magnificent show of blooms in spring along with perennial and annual plantings. 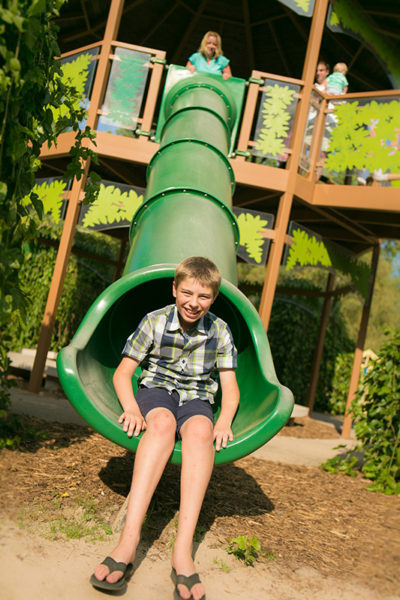 A Place of Discovery & Imagination The design and architecture of the Nielsen Children’s Garden is the perfect place for a child’s imagination to run free. 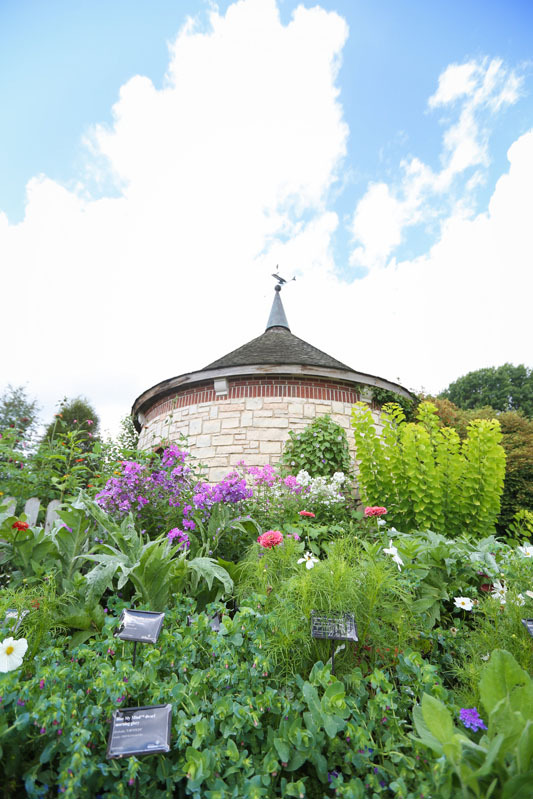 Children can explore the tree house, zip down the slide, get lost in the vine maze, discover fish in the re-circulating pond and tell time from the giant sundial, not to mention the excitement to be had at the Children’s Gardening Patch, Compost Demonstration Area and Wetting Zoo. 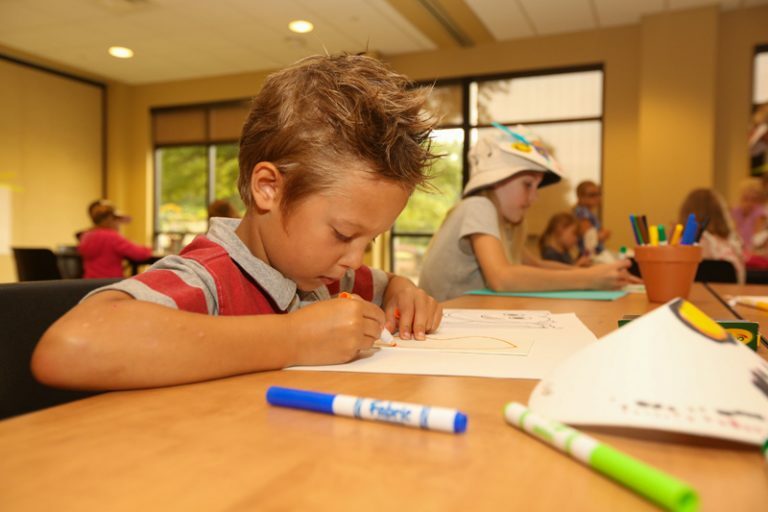 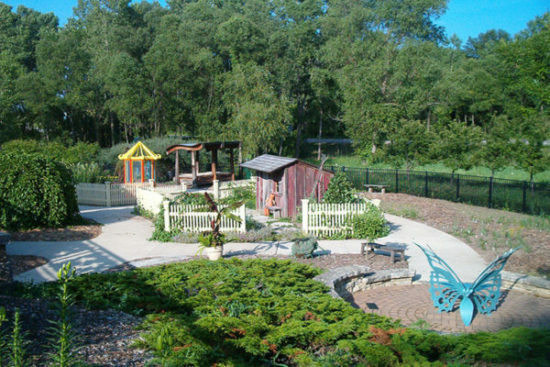 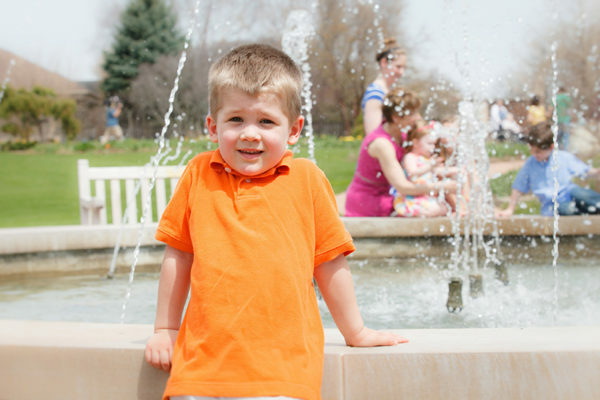 They can also learn about the wonders of plants and nature through their exploration of the Einstein Garden, Butterfly Garden, Peter Rabbit Garden, Sensory Garden, Sugar Rush Garden, Dragon Fly Bridge and Frog Bridge. 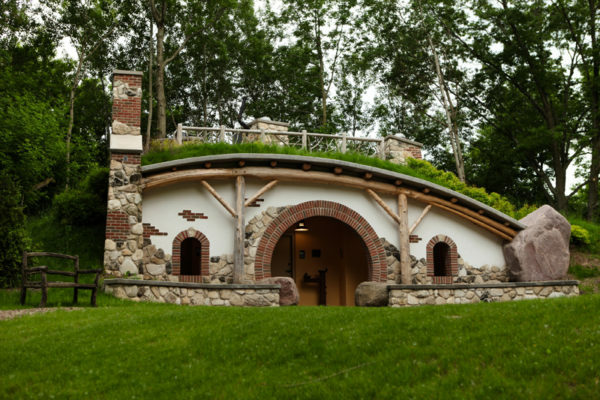 The Stumpf Hobbit House is a three-season facility designed to be both whimsical and functional. 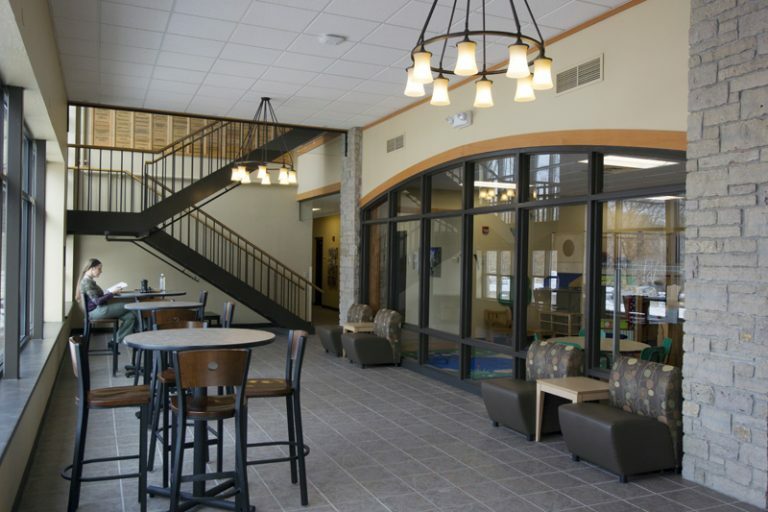 Its multi-level drinking fountain, open air windows and roof deck make this building truly unique. It’s equipped with energy efficient features such as solar light tubes, water efficient toilets and sinks, and energy saving Dyson air blade hand-dryers. It’s most noticeable feature is being built into the hillside, which minimizes the building’s heating and cooling needs while the green roof lowers storm water runoff and provides habitat for garden critters. 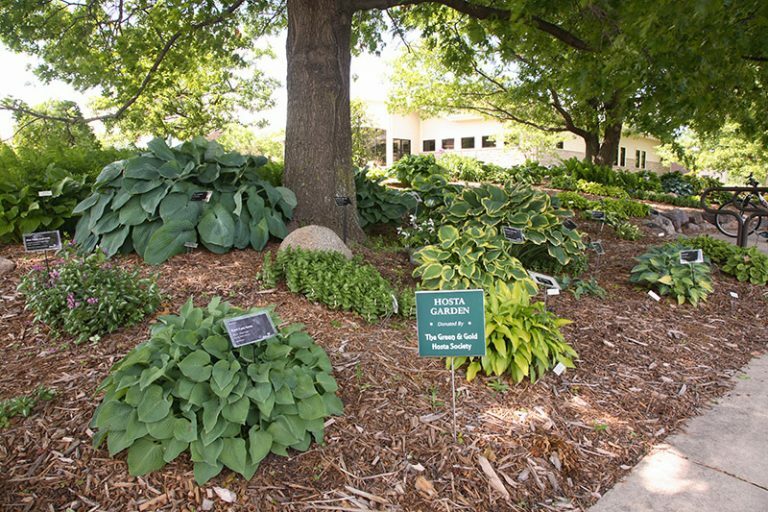 This serene hosta and shade perennial glen features a peaceful stream surrounded by flowering shrubs and trees. 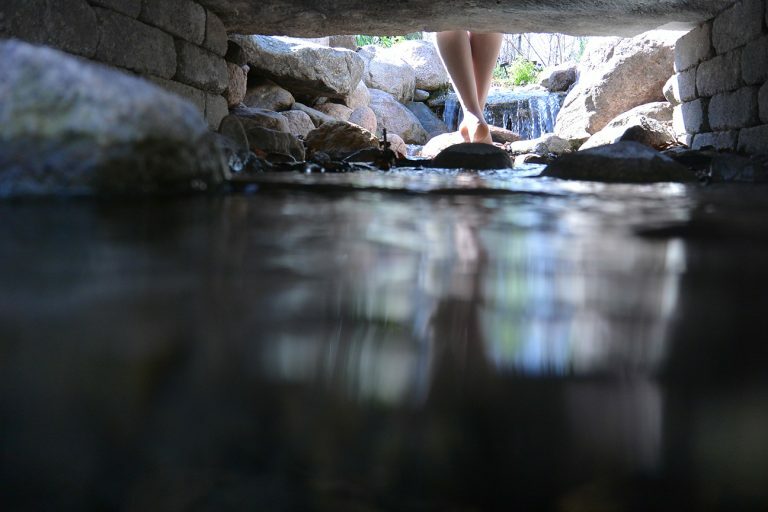 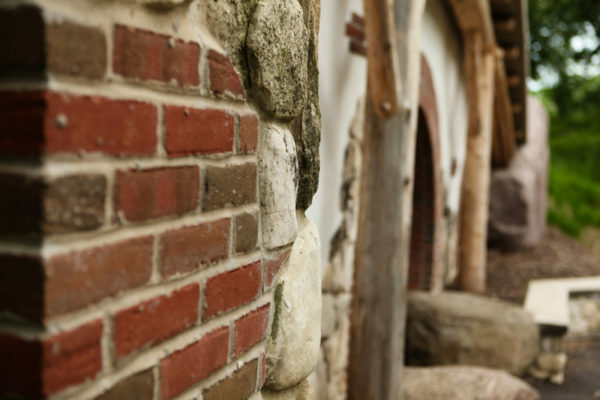 Boulder-lined paths lead visitors through a picturesque constructed ruin of a spring house. 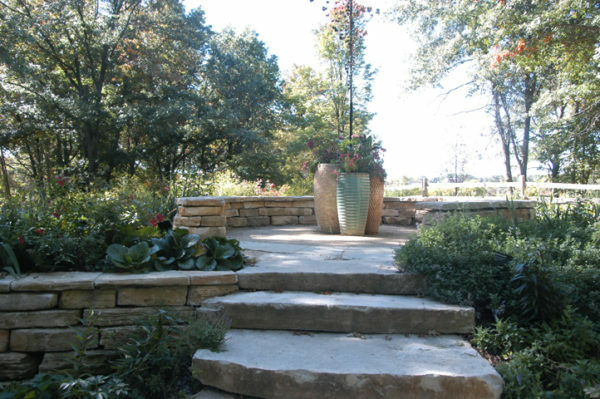 The walls and steps of this garden are built from weathered edge limestone which may remind you of the beautiful beaches in Door County, Wisconsin. 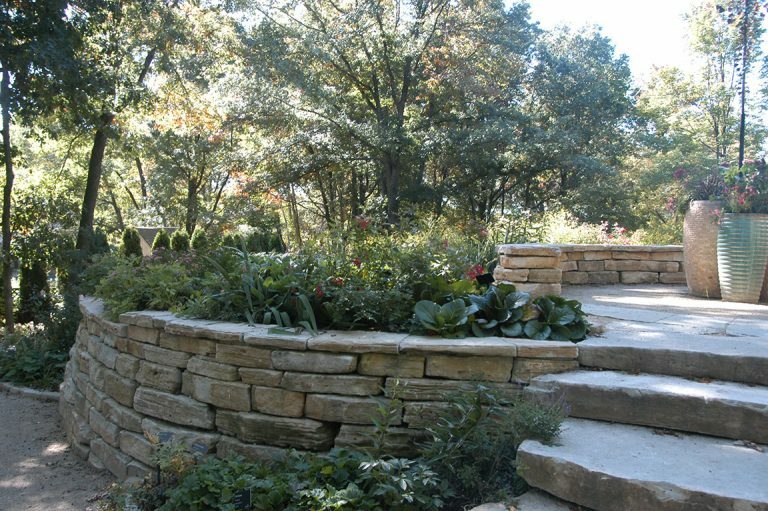 A spiral path brings you to the overlook seat wall, which features stunning views of the western part of the Garden. The latest perennial plants on the market are showcased here with numerous new varieties of peonies, roses, iris and other flowers and grasses. 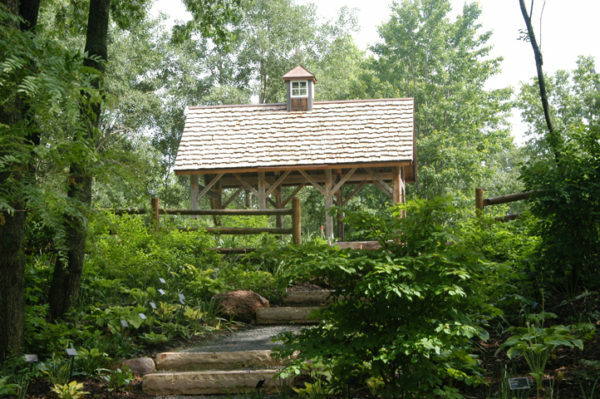 Search for the highest point in the Garden and there you will find the Jenquine Pavilion. 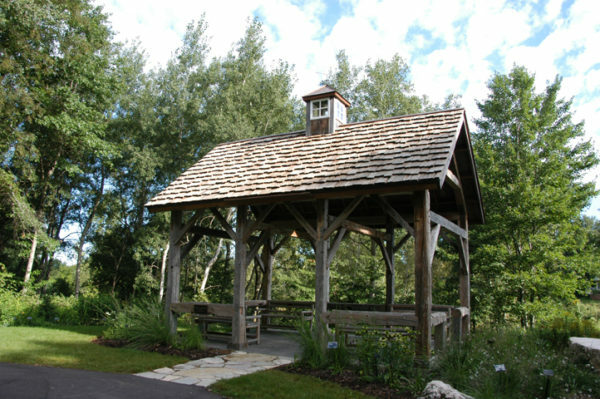 Created with salvaged barn timbers, the Pavilion is situated atop a hill with a breathtaking view. 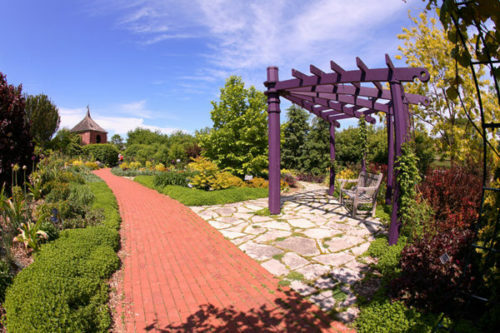 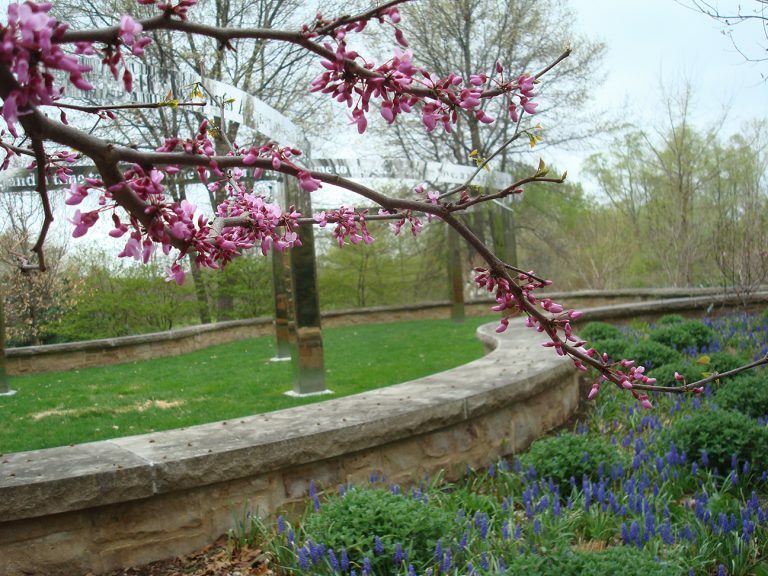 The Overlook Garden is shaded by mature trees and features native plantings like coneflowers and false indigos. This garden is gorgeous May through October, with peak bloom taking place June through August. 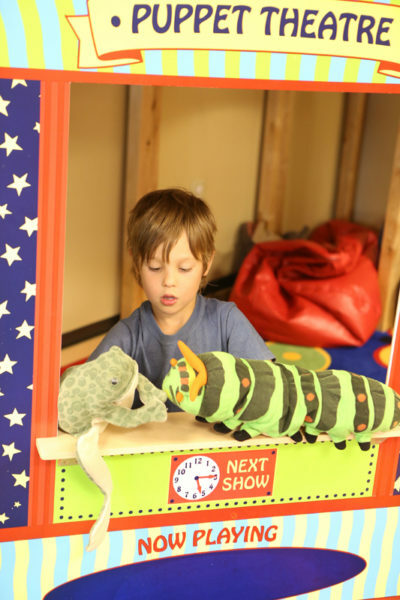 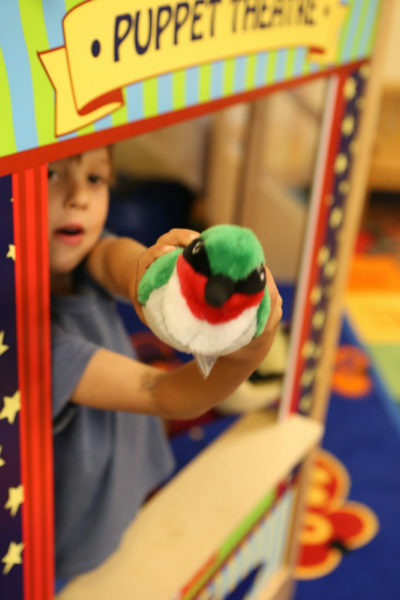 The Larsen Children’s Corner is the perfect place to read a book, put together a giant puzzle, play a garden game with your family or put on a puppet show. 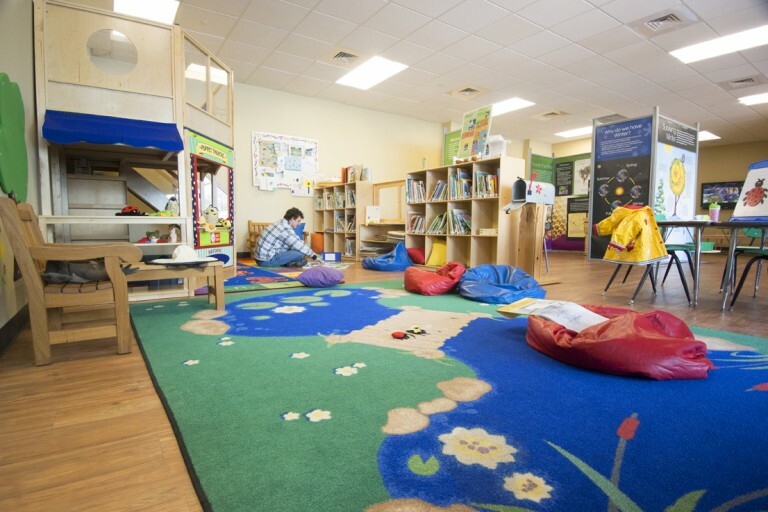 This indoor children’s area provides a quiet place to cool down during the summer or a cozy spot to warm up after a walk in the winter Garden. 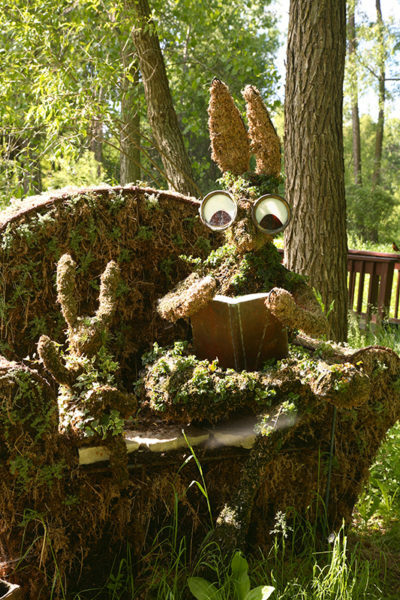 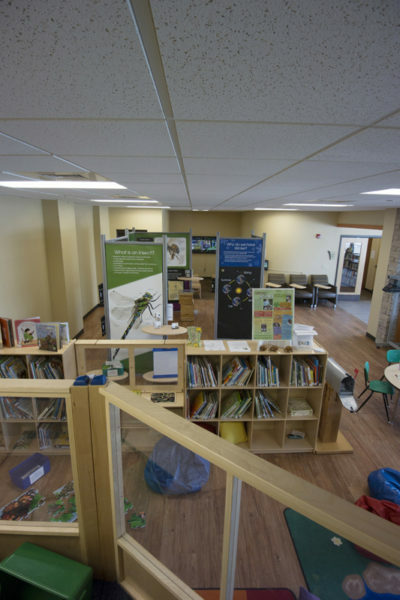 The Children’s Library is stocked with stories about plants, insects, frogs, birds, nature, gardening and more that visitors are welcome to peruse while in the Children’s Corner. The Garden Library features a wide selection of horticulture-related books on topics such as garden design, perennials, herbs, container gardening, naturalizing, houseplants and more. 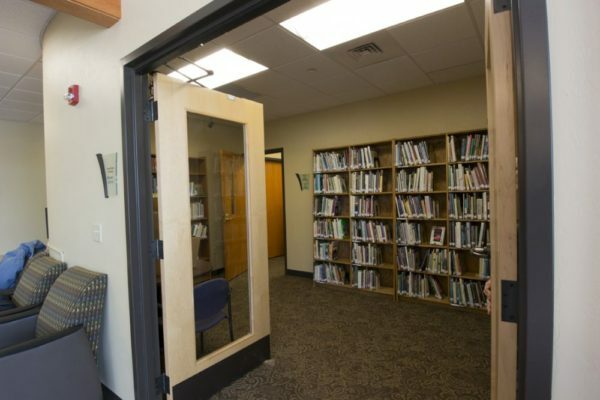 Stop by and use the collection to do research or simply to relax for an afternoon. Visitors are welcome to browse through the books in the Library, while Garden members can check out books for free for a one month period. 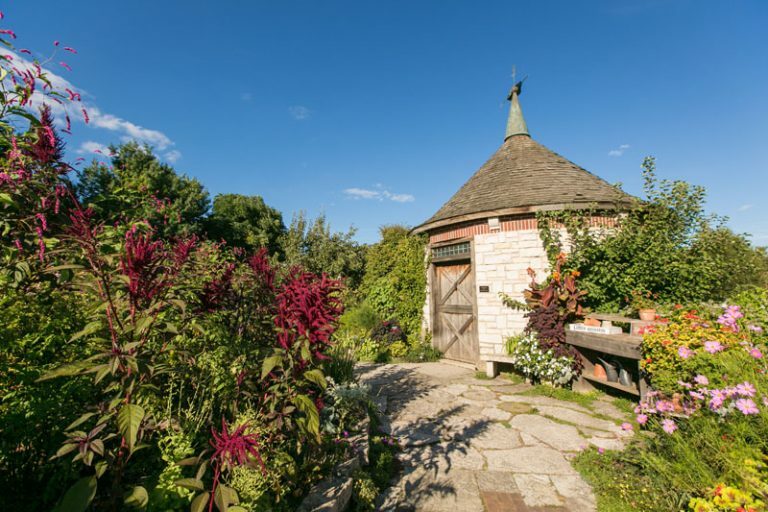 Visit the theater to watch an introductory video tour of the Garden which features our rich history. Additional tips and videos will be available for viewing as the seasons change. 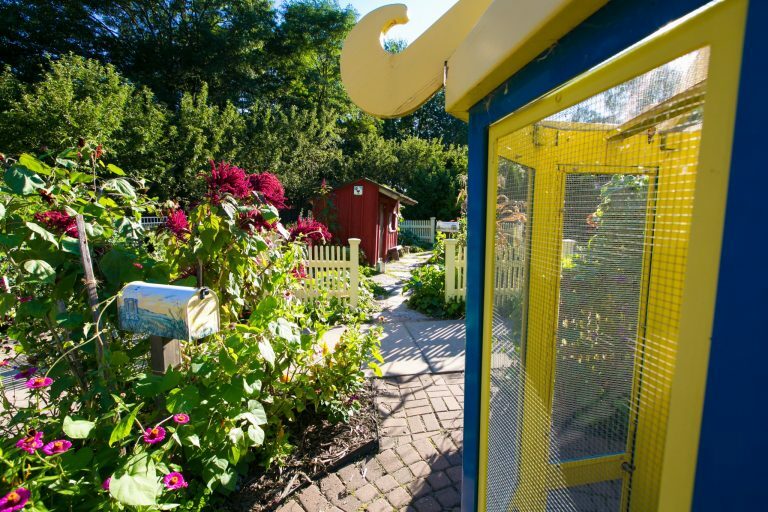 These vibrant educational displays focus on horticultural topics relevant to the Garden, such as bees, butterflies, birds, beneficial and pest insects, the right plant for the right place and winter plant adaptations. 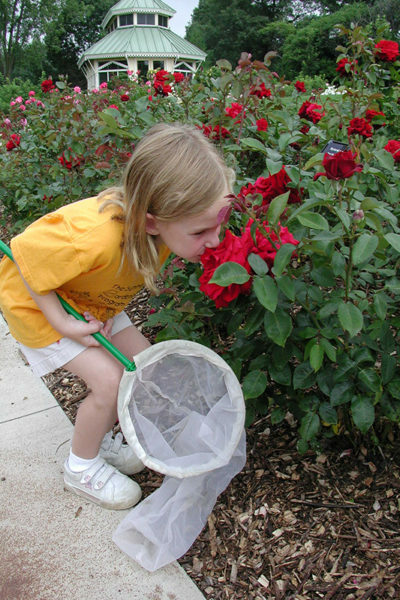 Adults and children alike will enjoy the interactive elements of these exhibits that include insect specimen samples, butterfly life cycle puzzle, “designing an insect” activities, bee keeper dress up clothes, microscopes with specimen slides and take home information and activities. 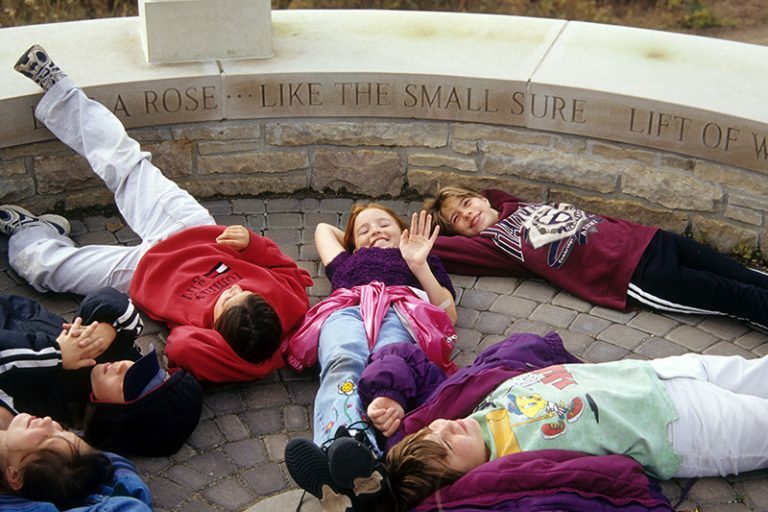 The goal of these displays is to create a space for visitors to increase their environmental literacy through informal interpretive opportunities.